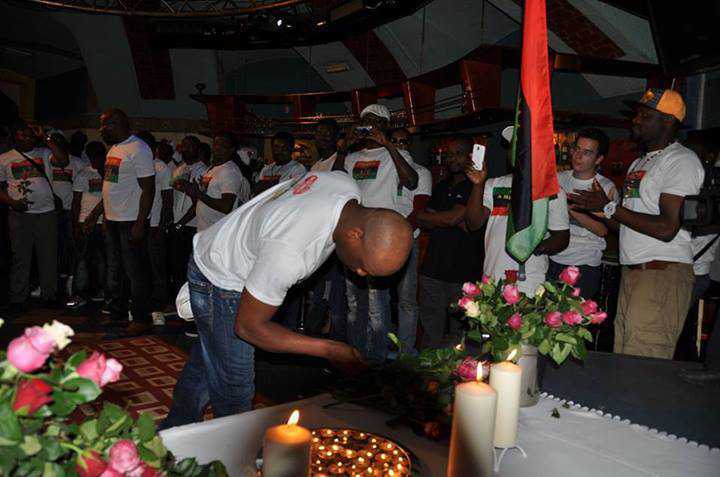 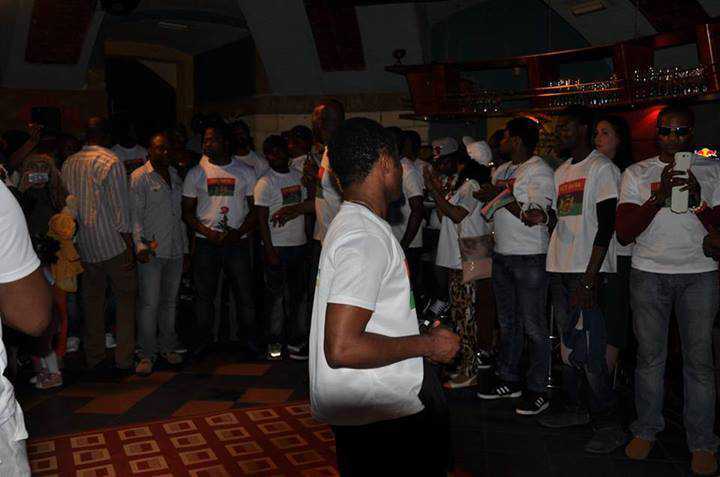 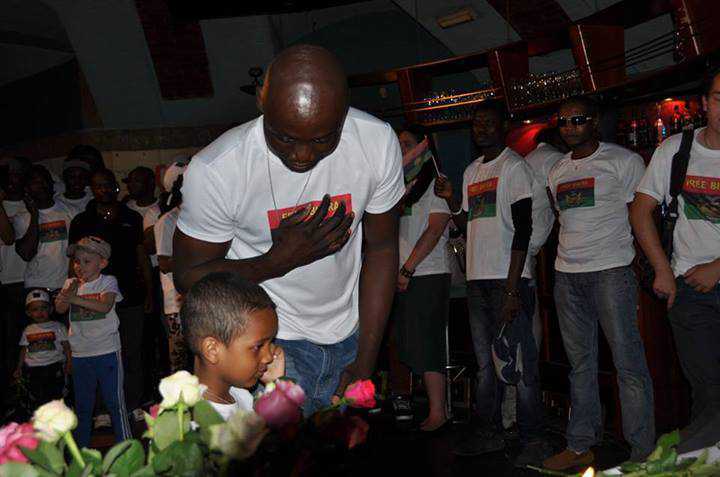 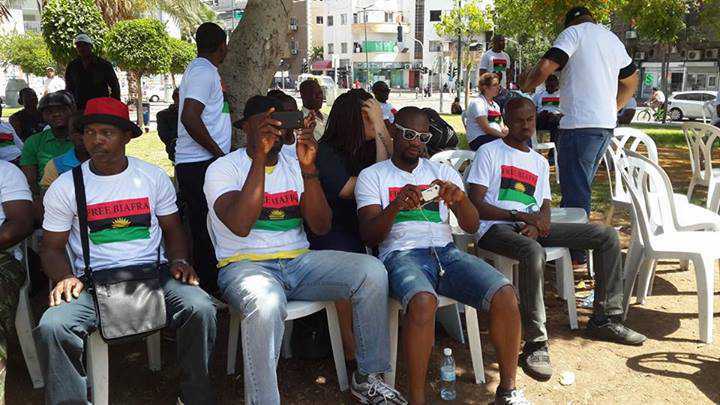 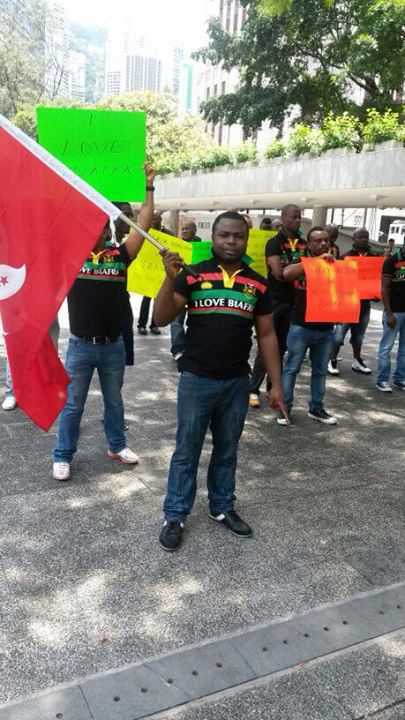 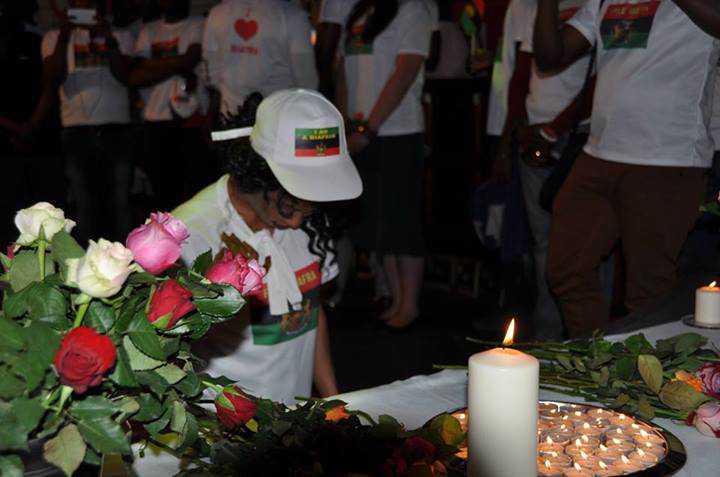 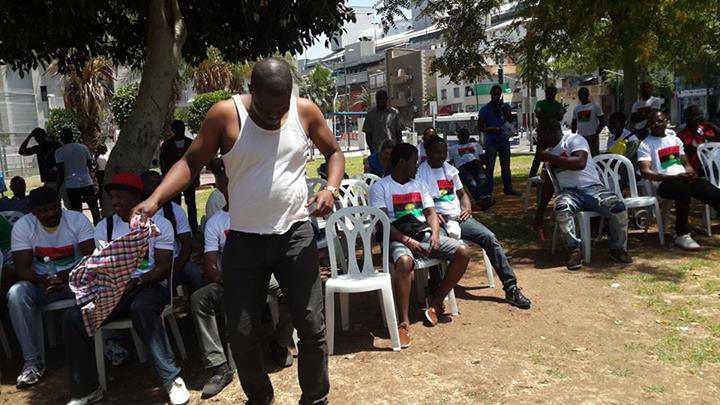 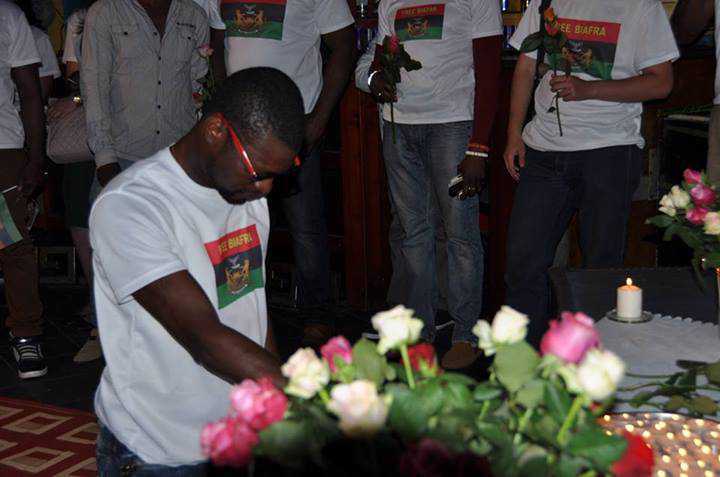 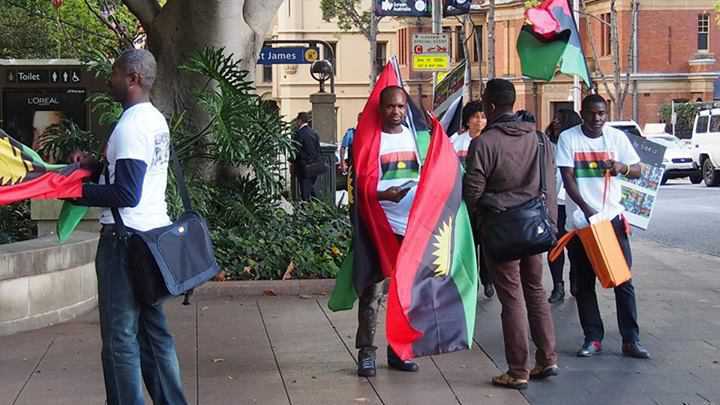 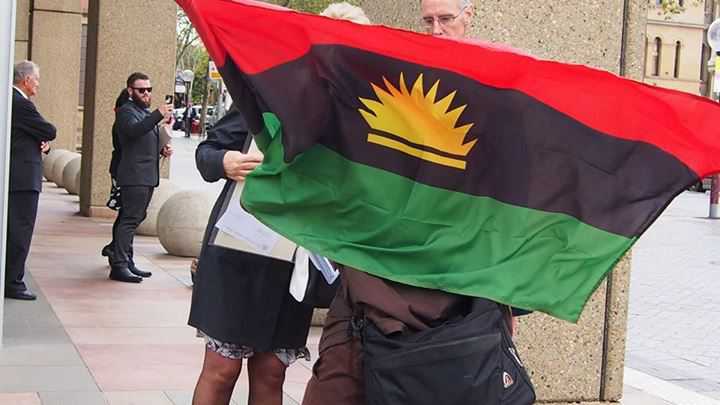 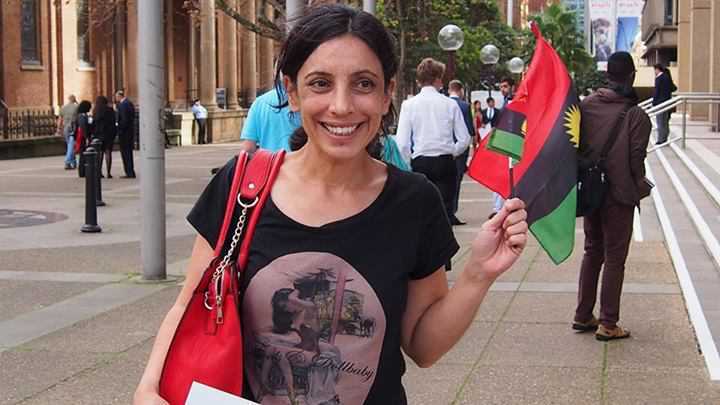 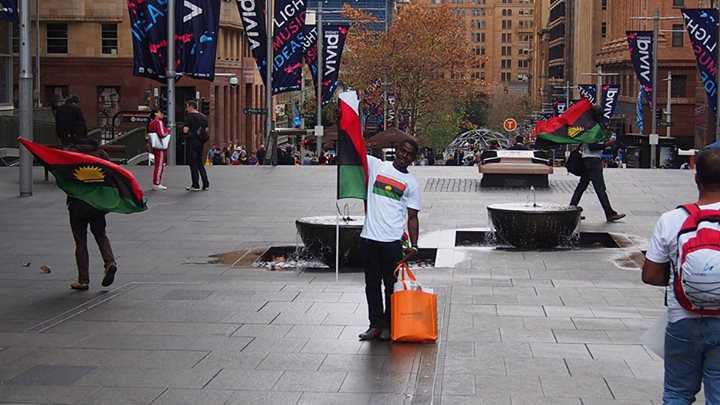 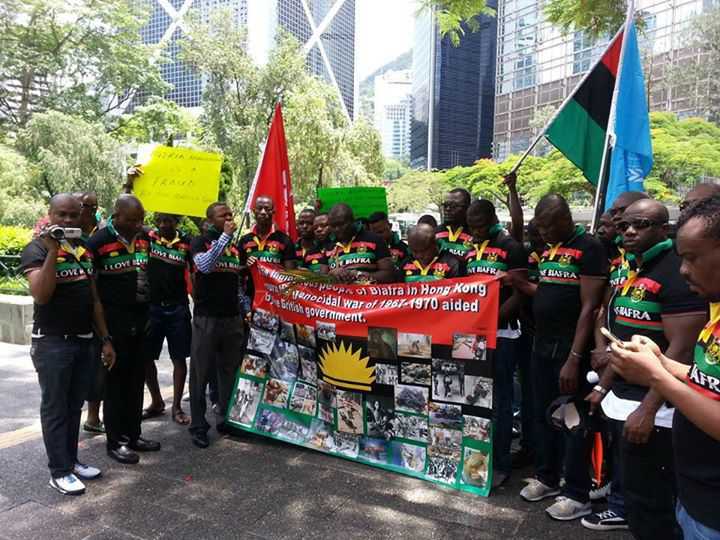 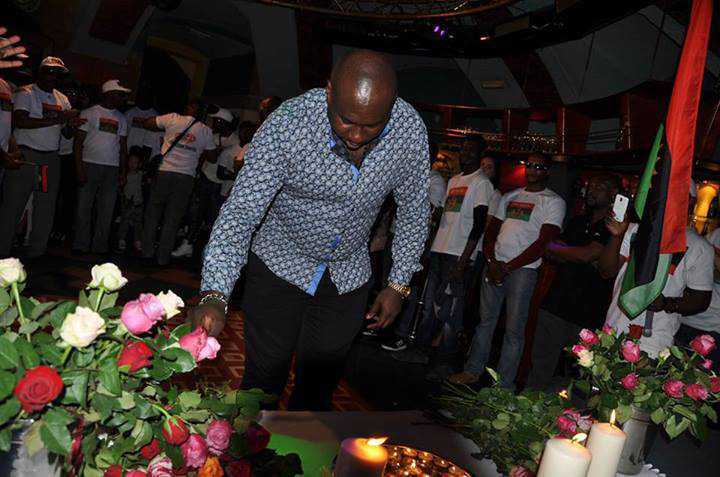 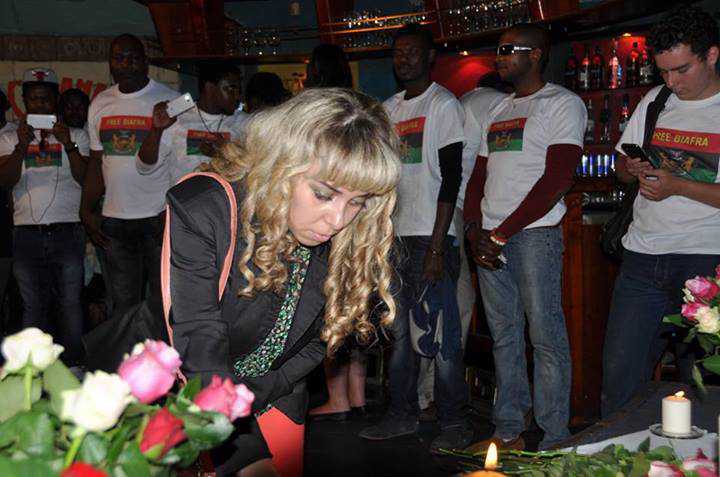 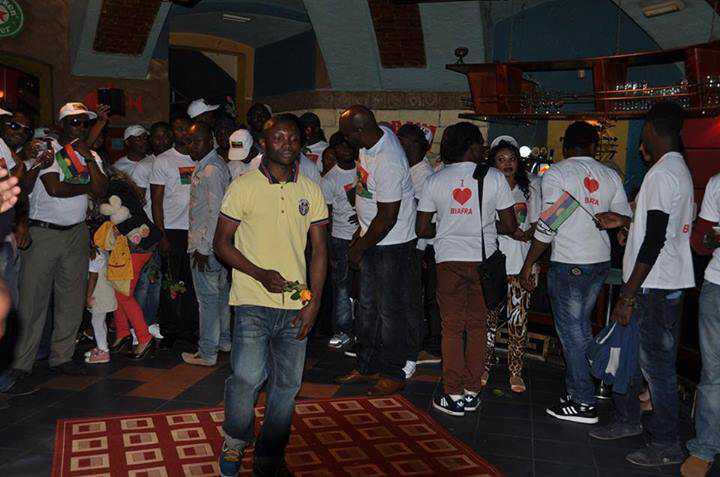 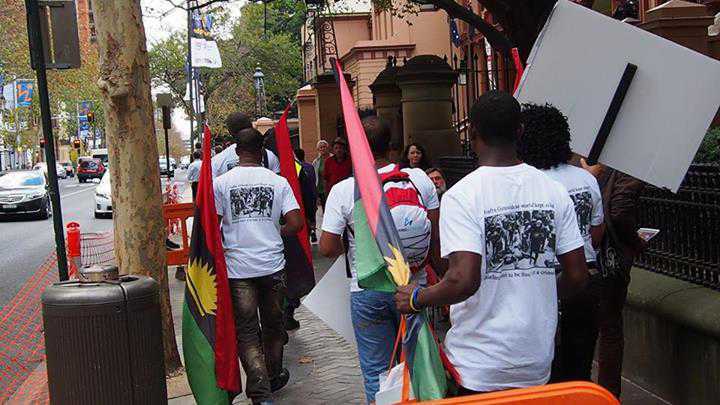 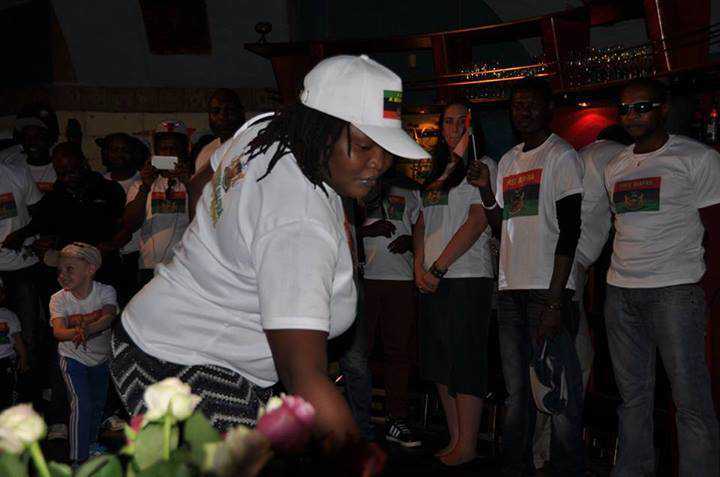 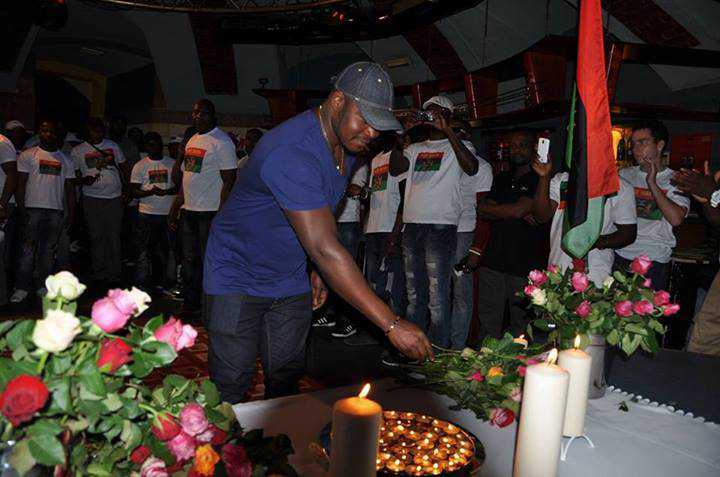 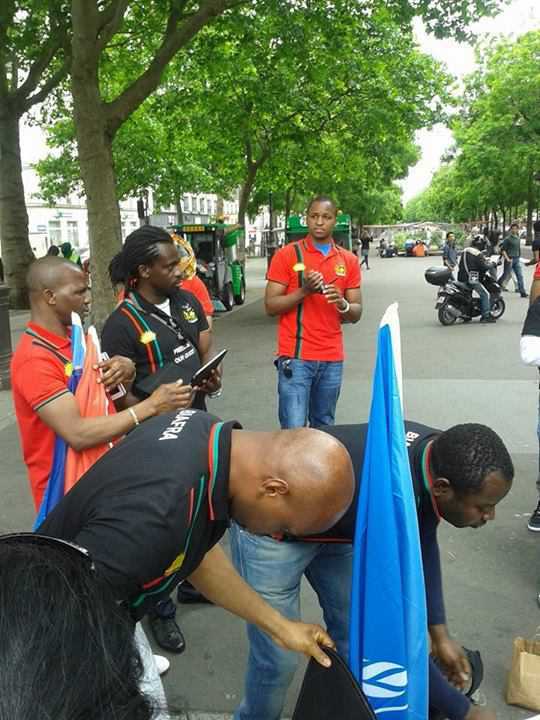 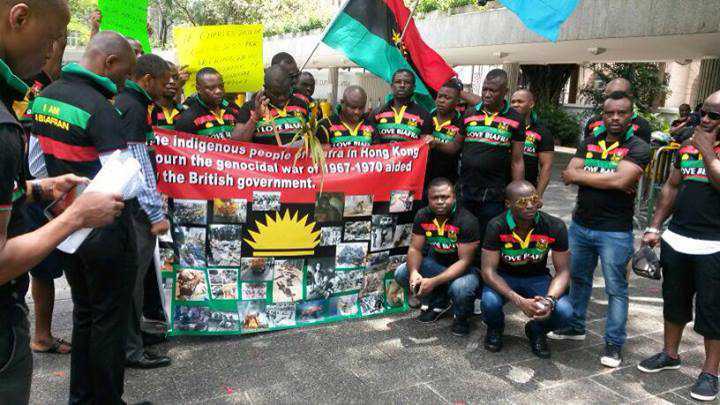 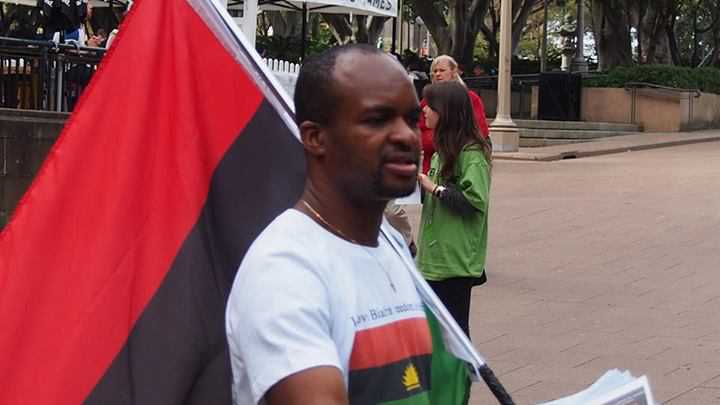 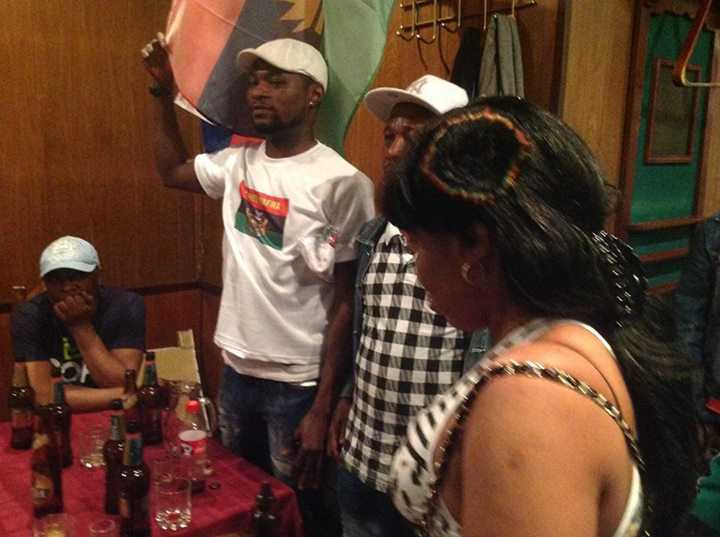 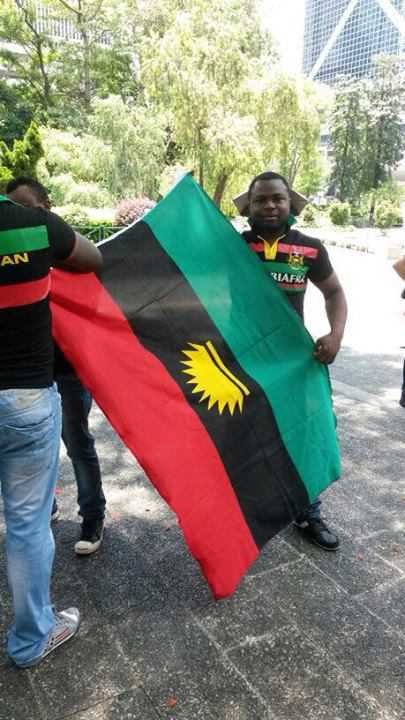 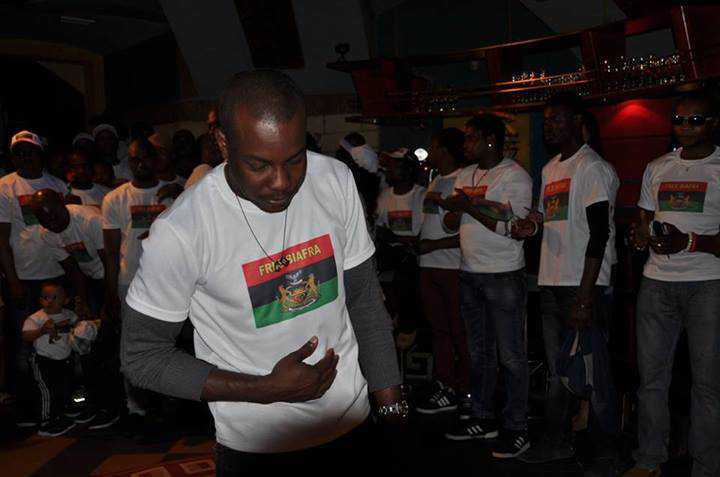 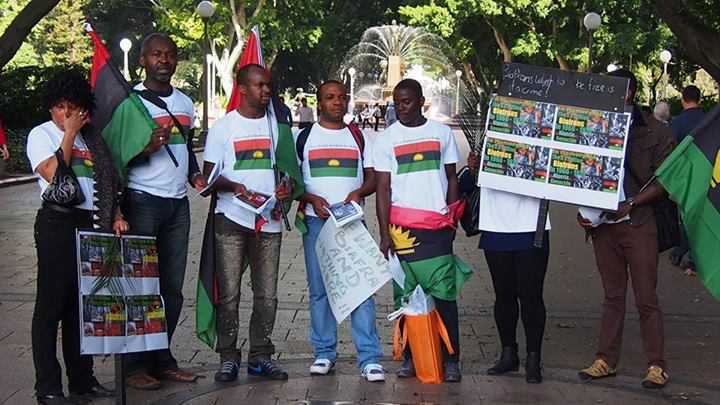 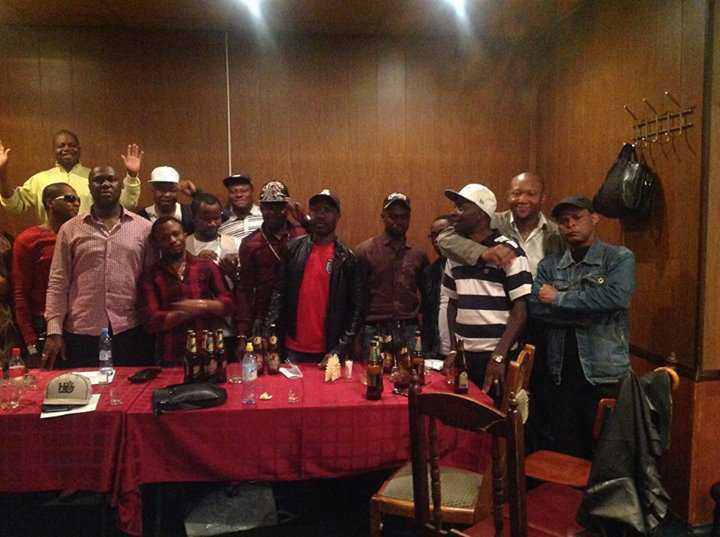 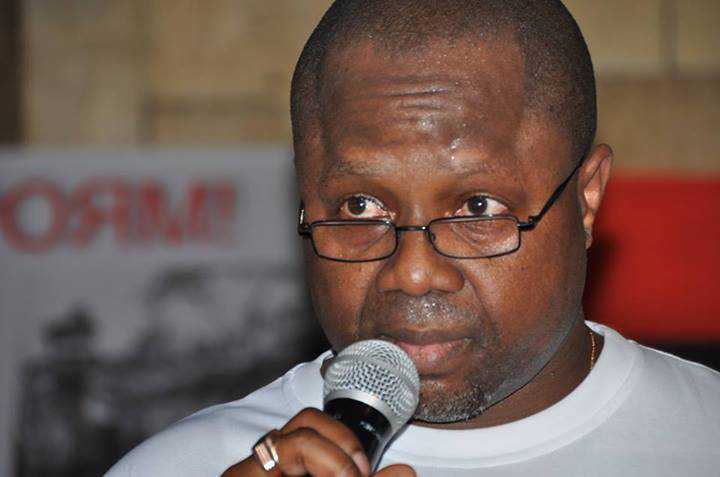 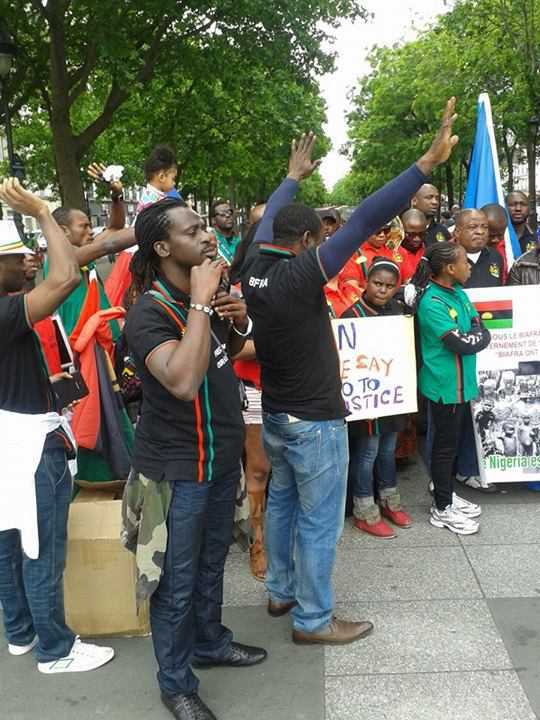 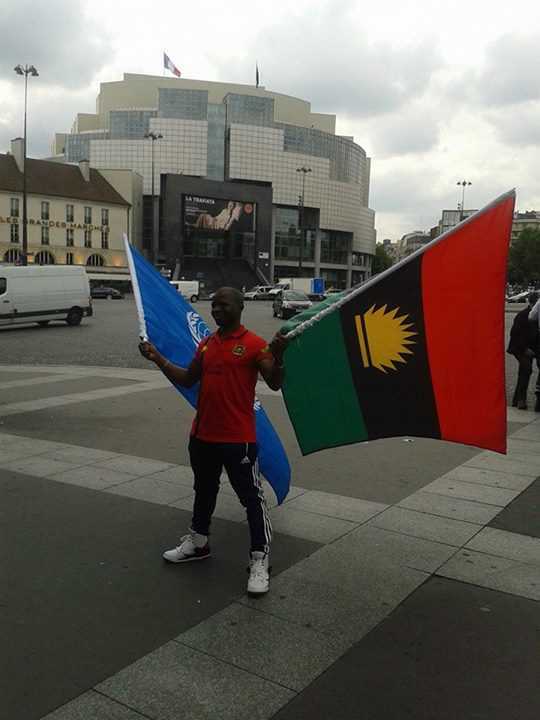 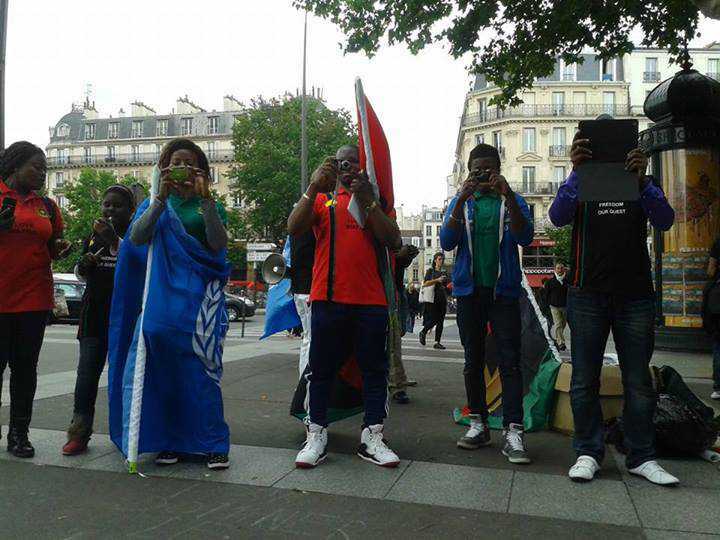 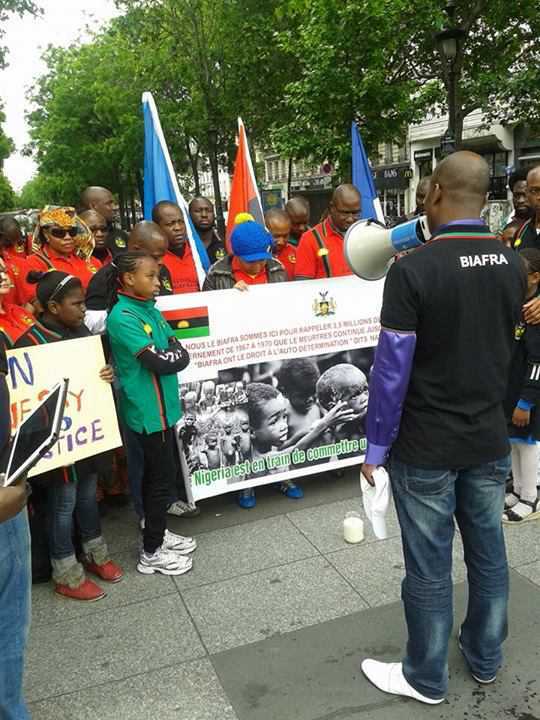 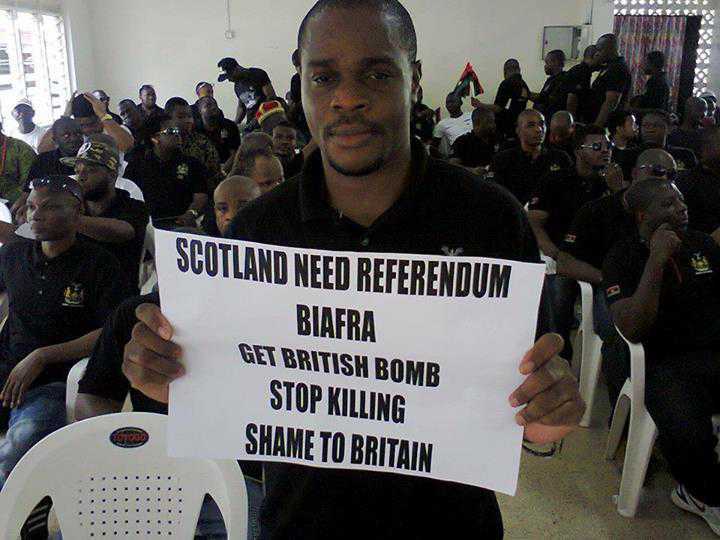 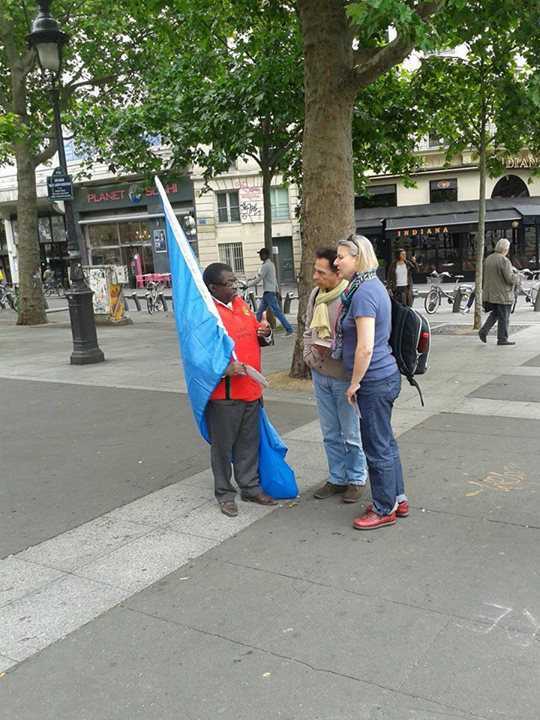 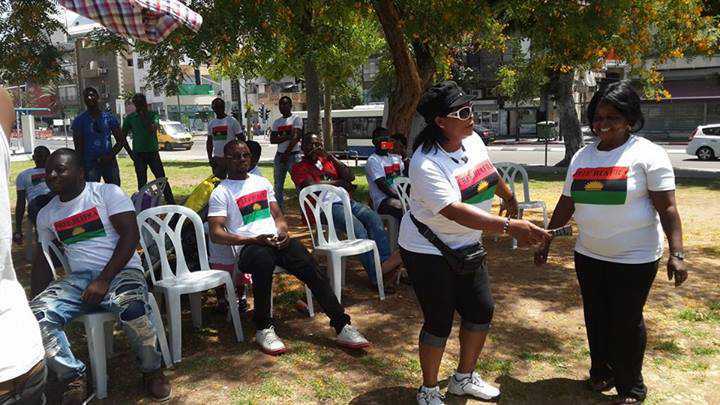 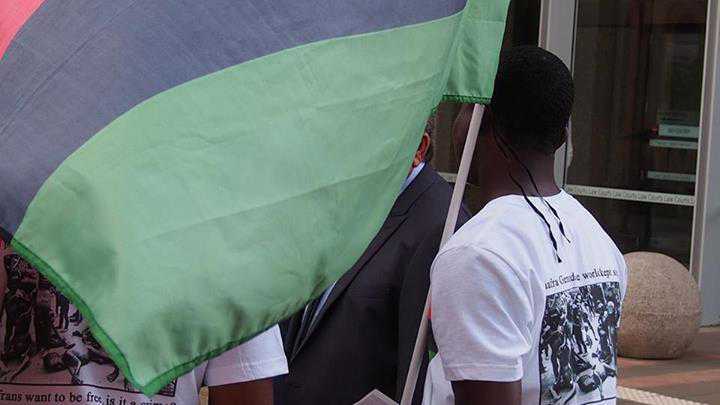 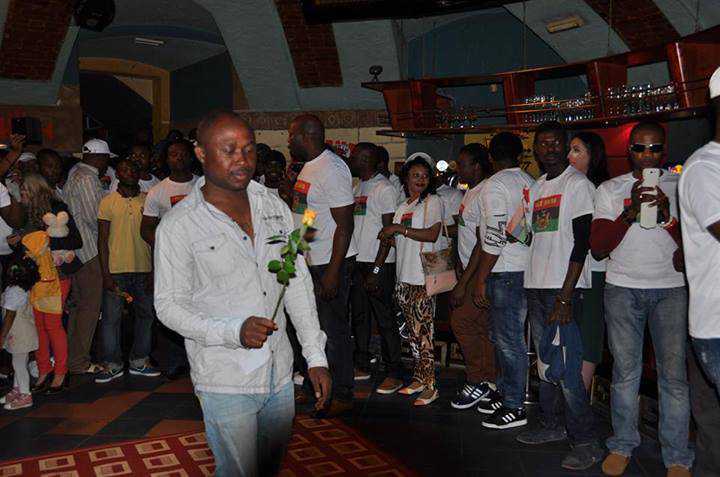 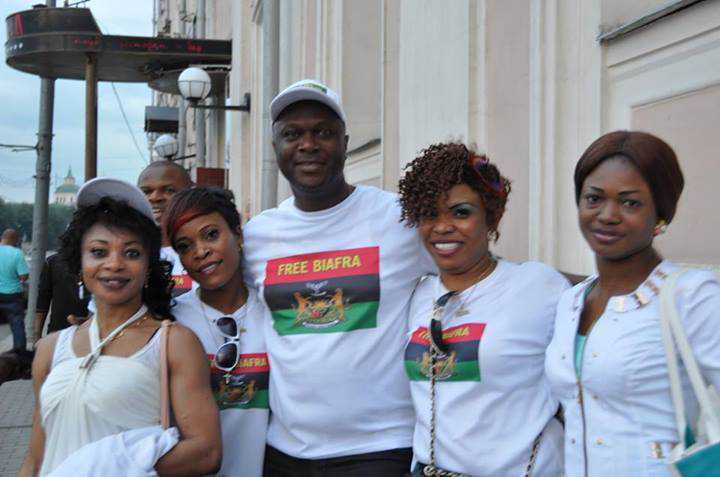 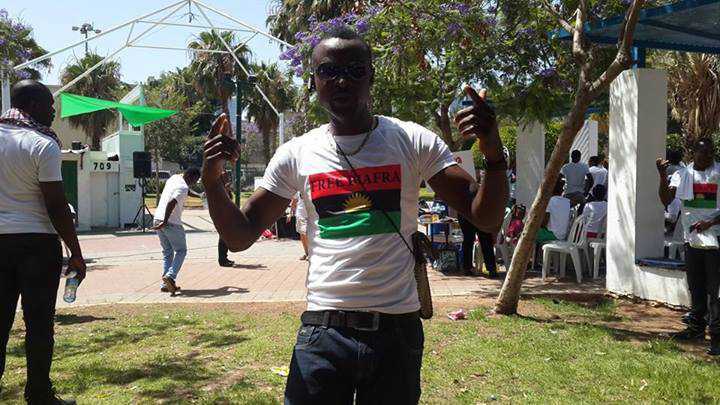 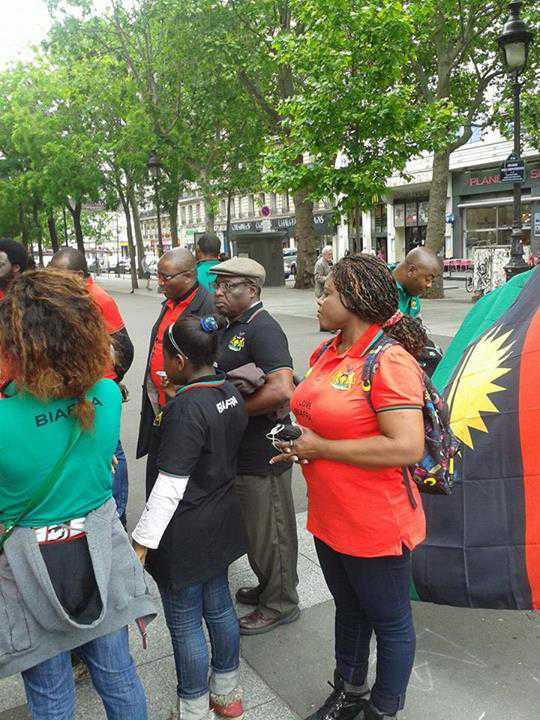 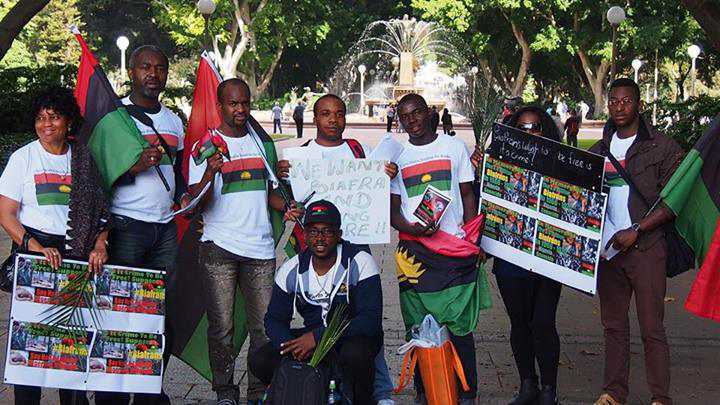 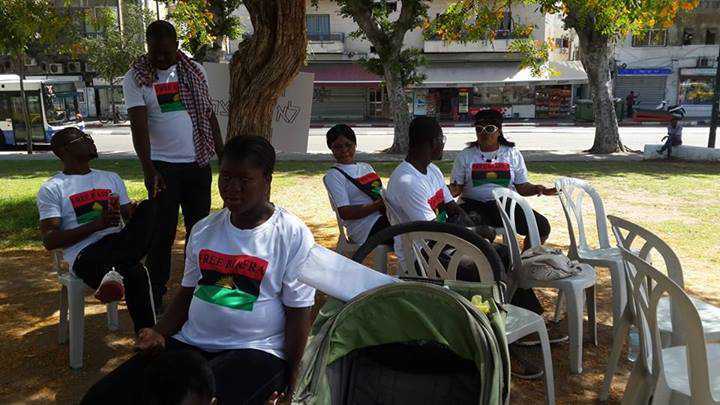 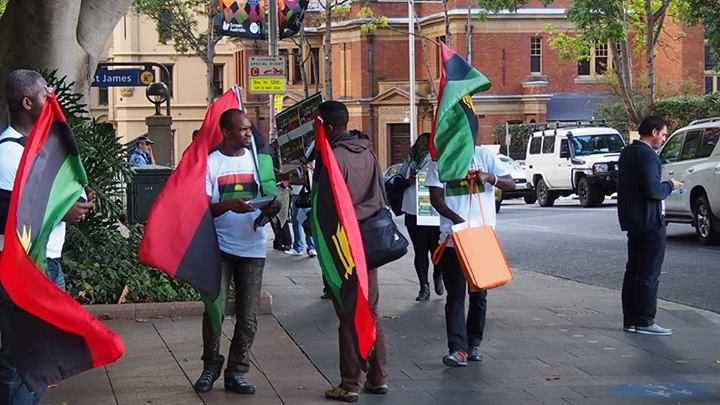 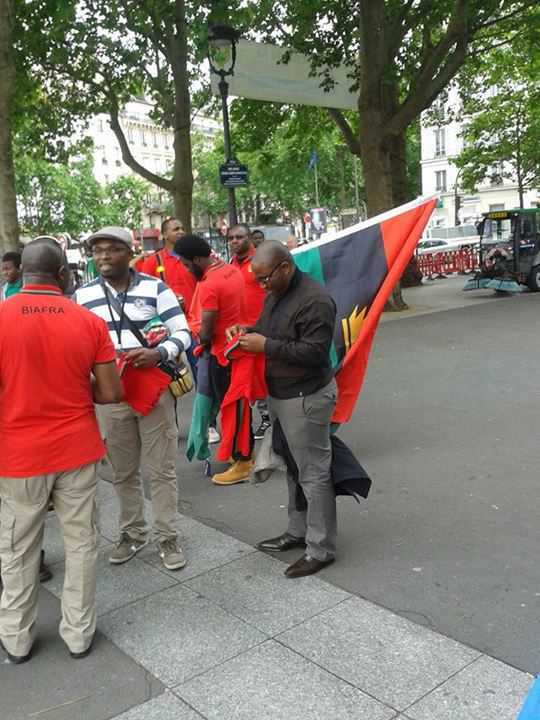 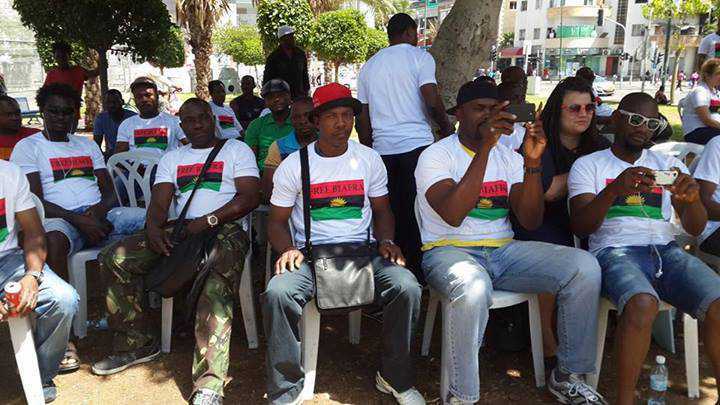 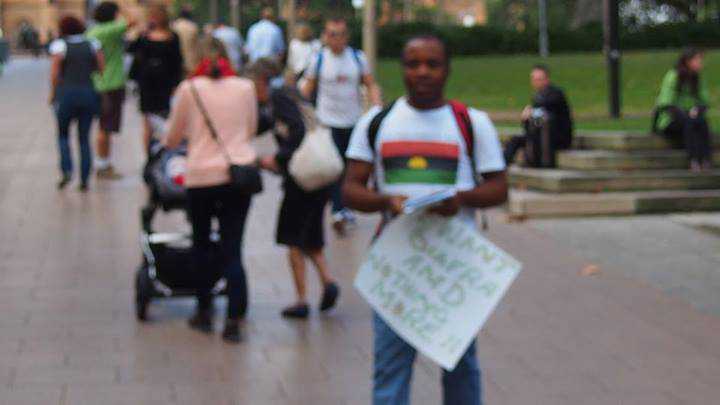 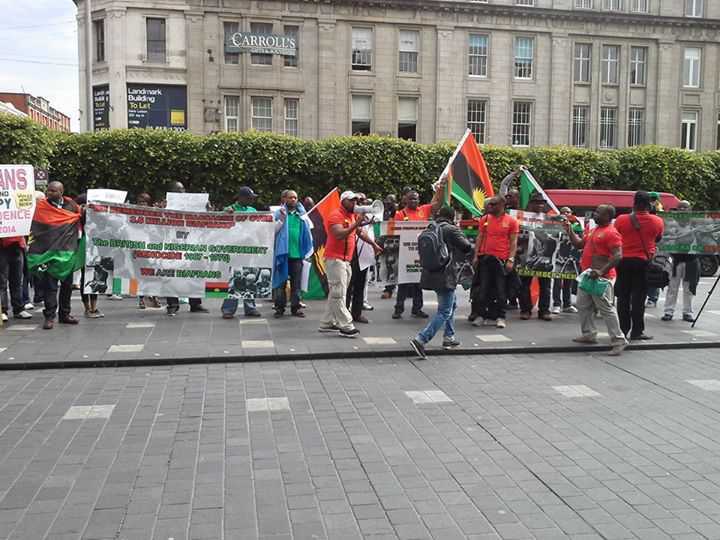 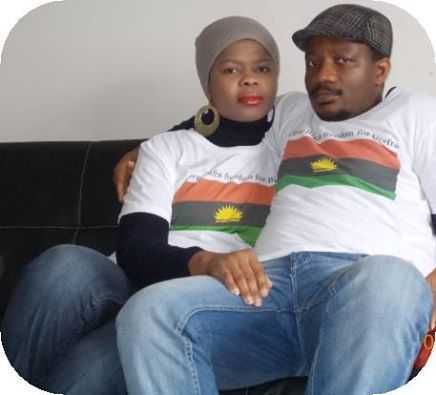 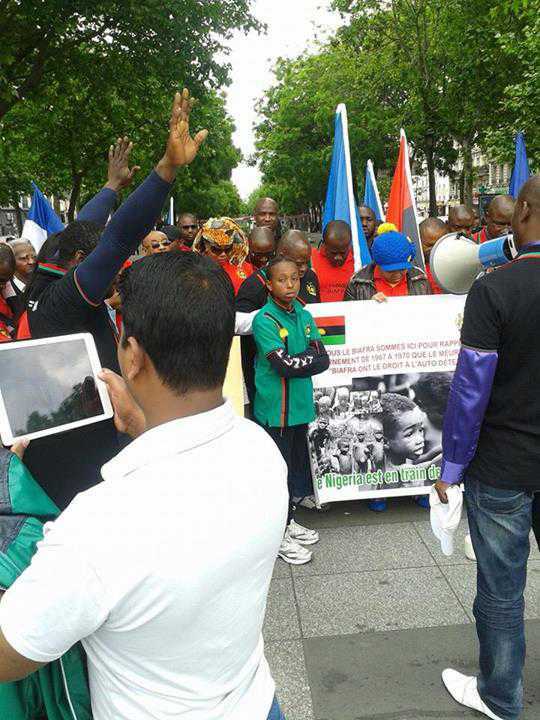 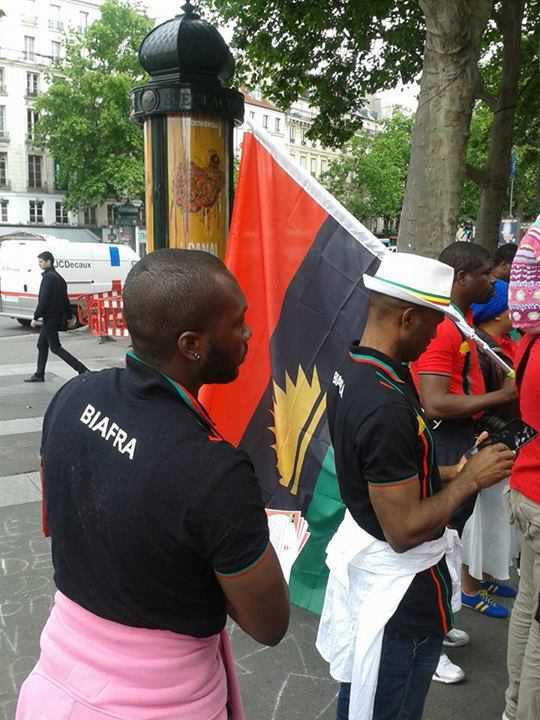 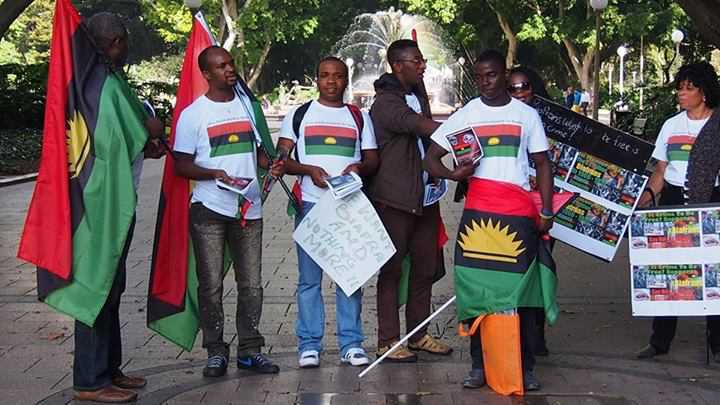 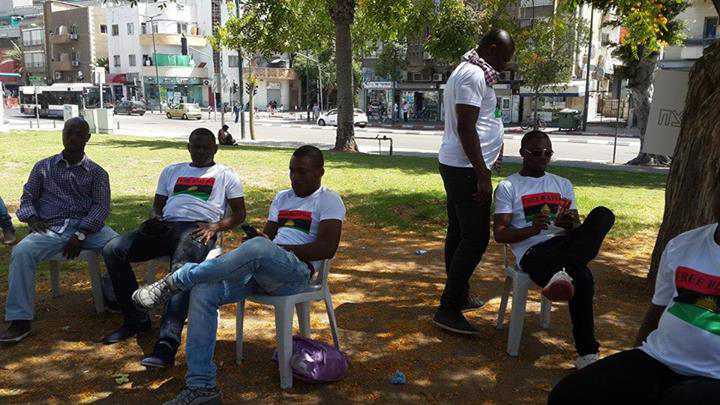 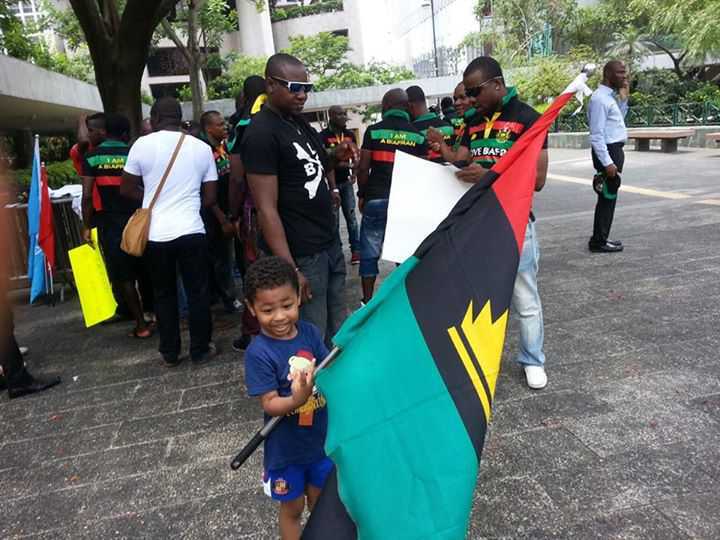 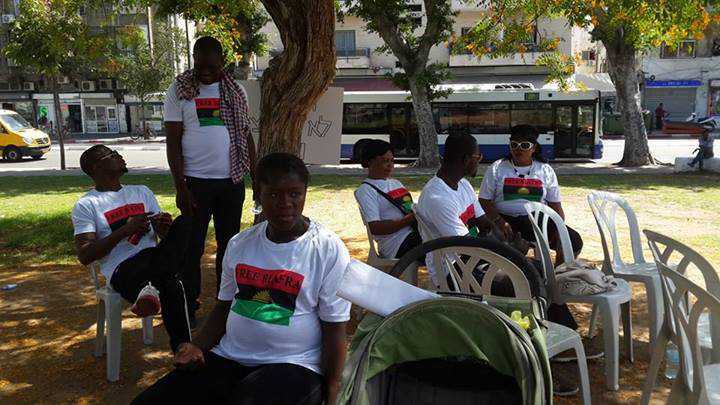 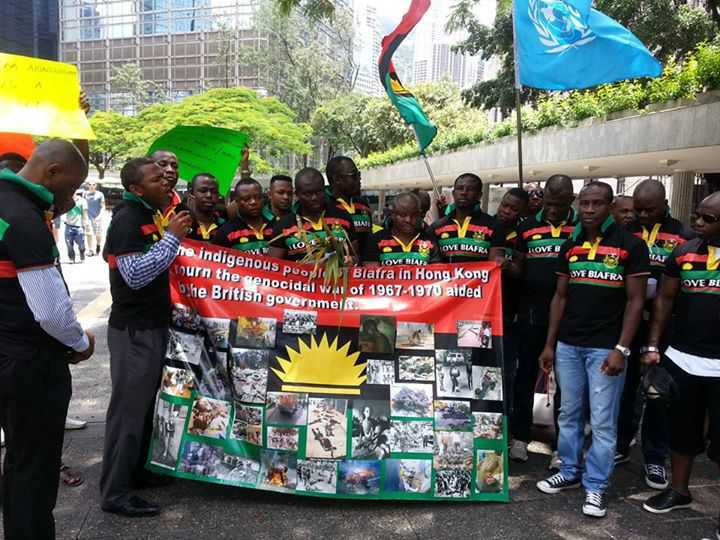 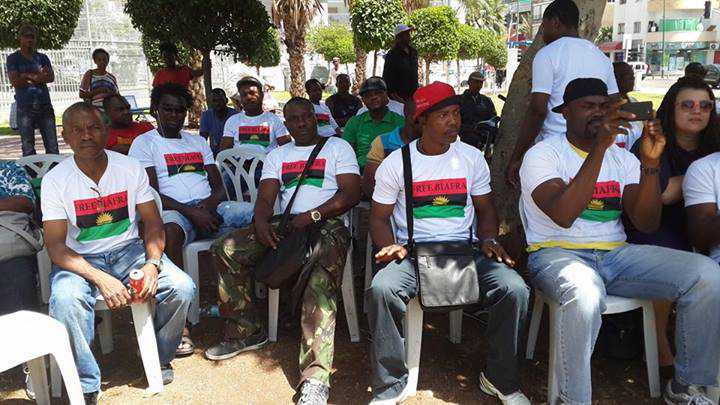 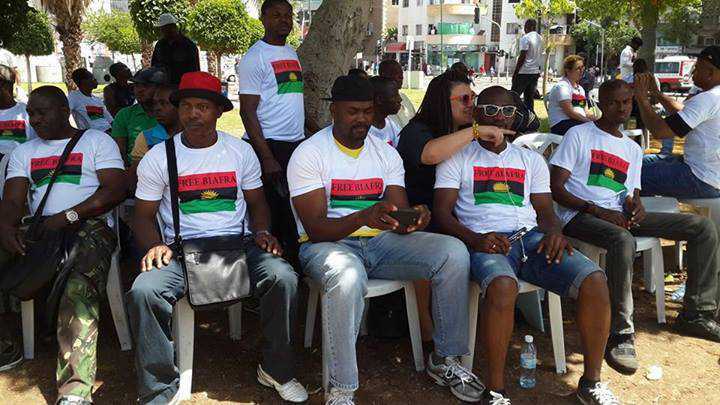 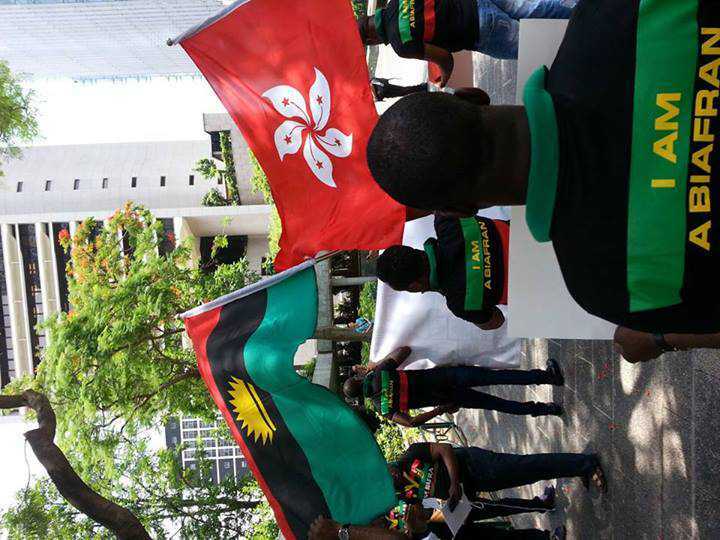 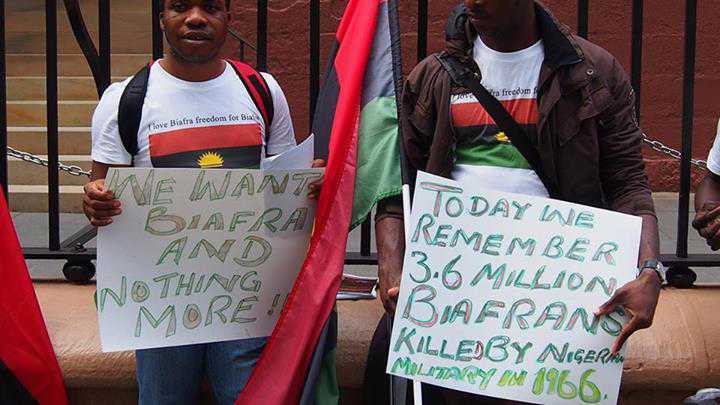 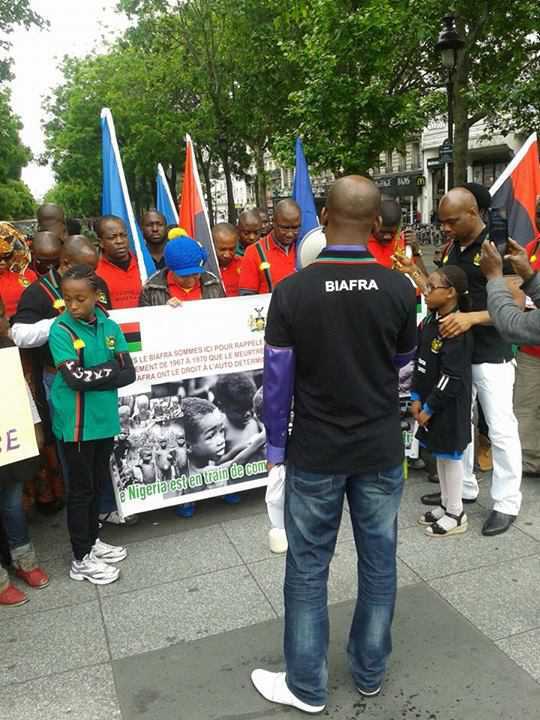 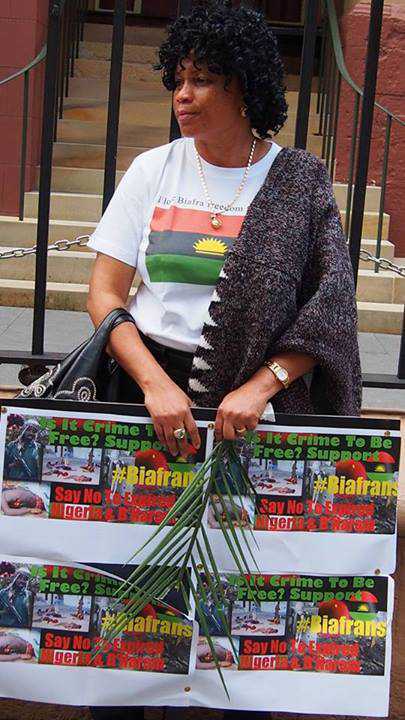 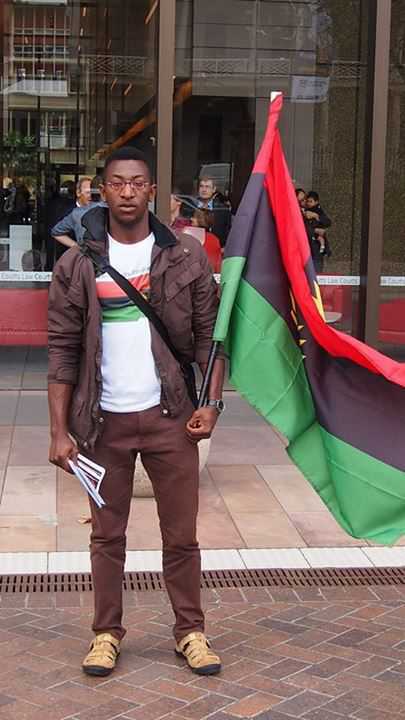 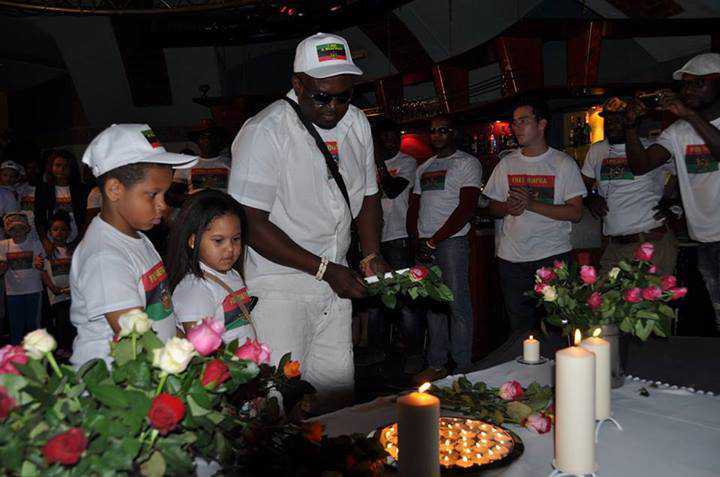 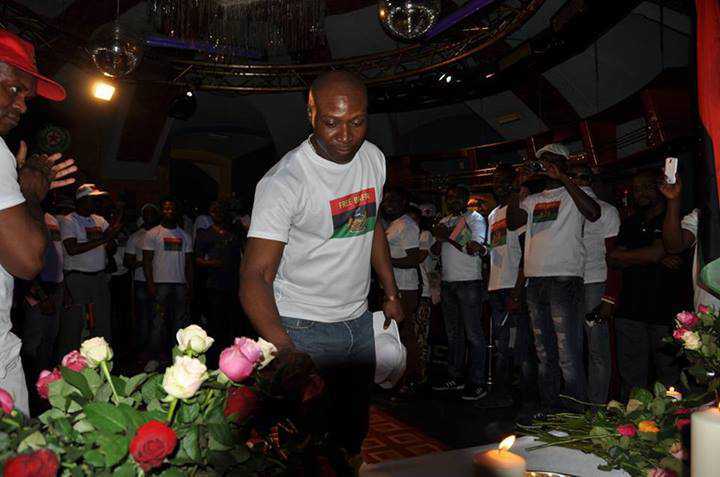 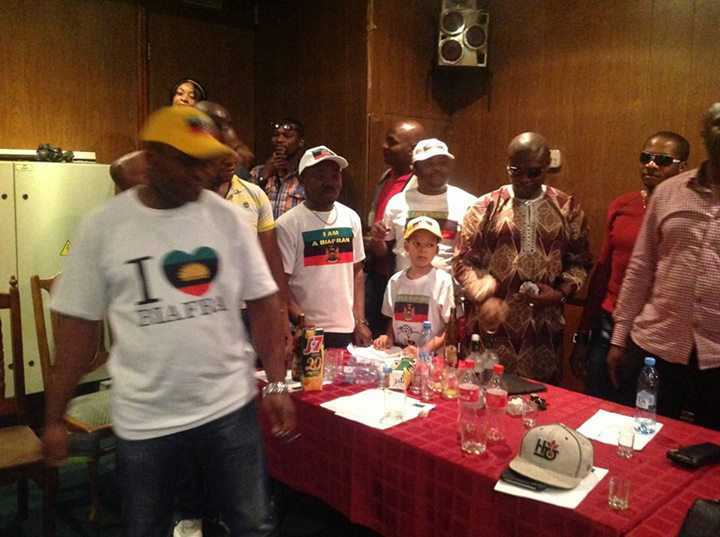 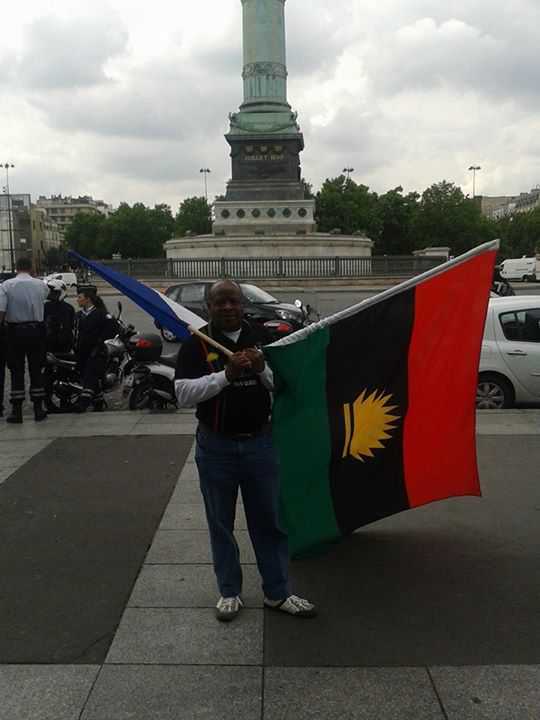 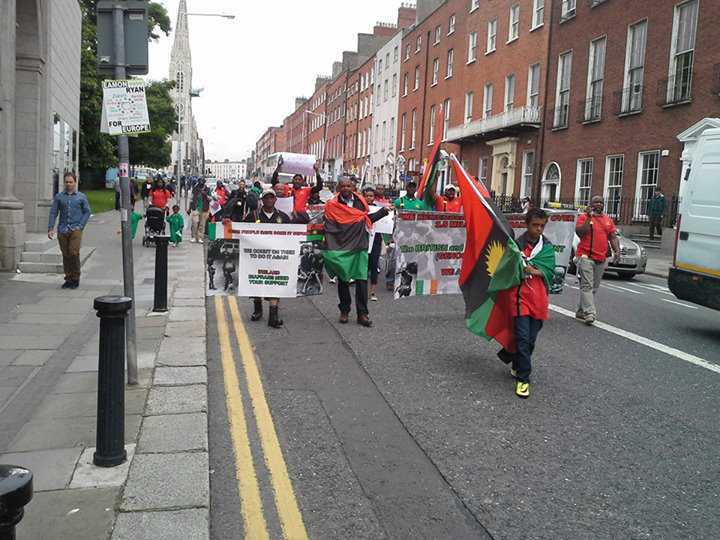 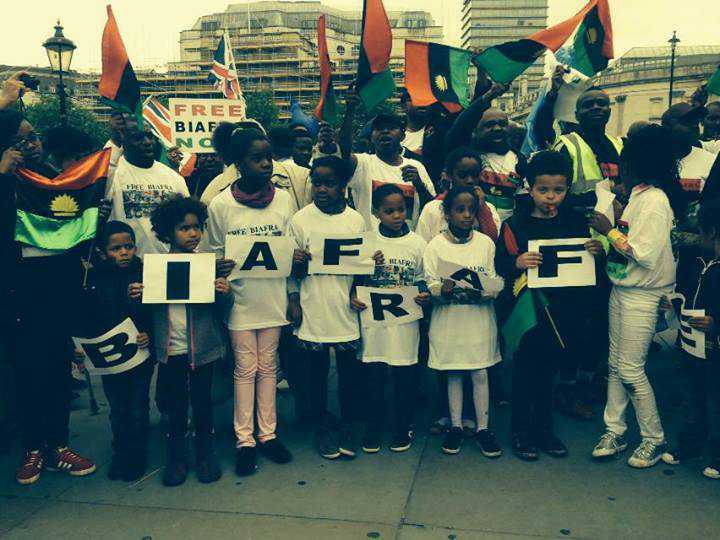 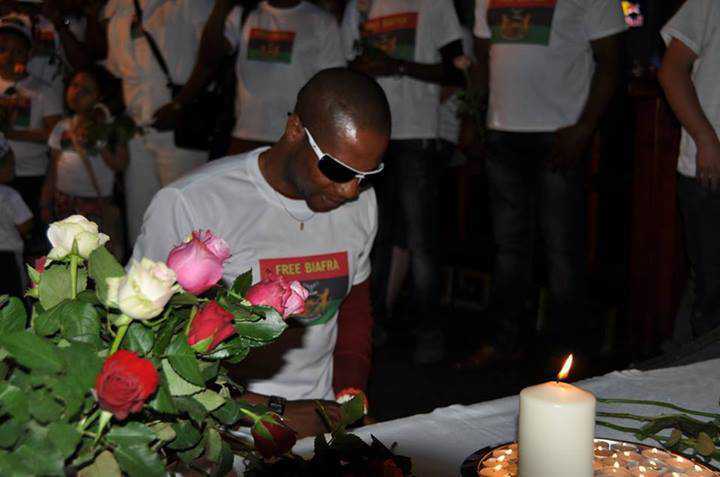 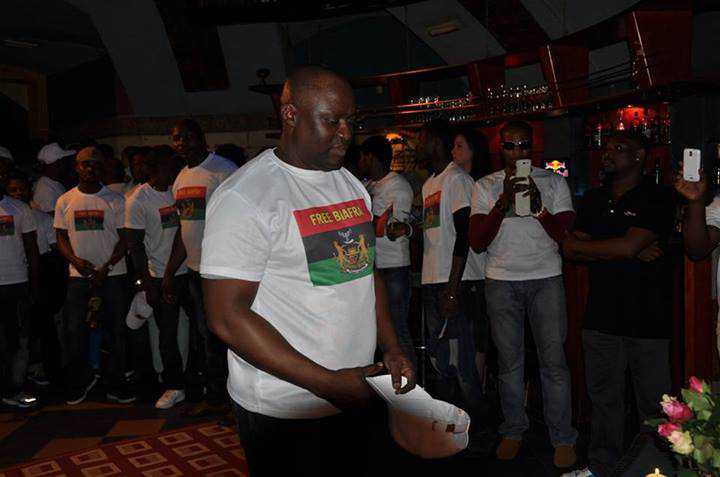 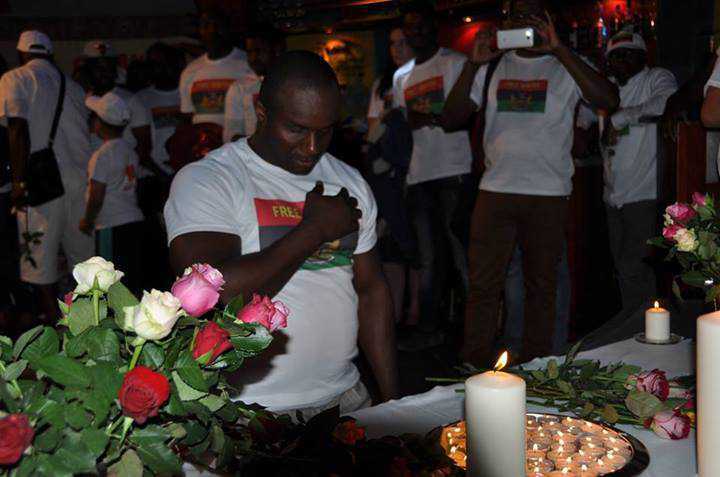 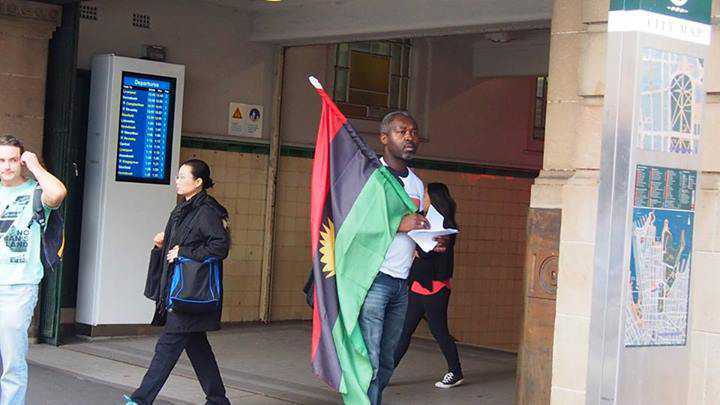 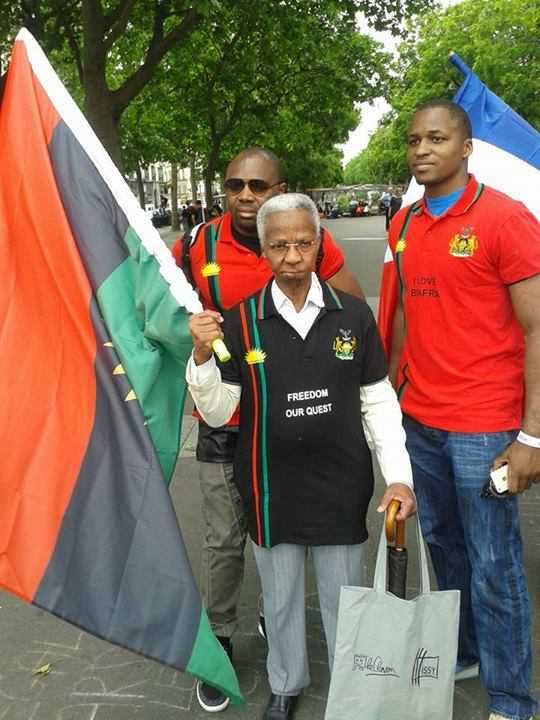 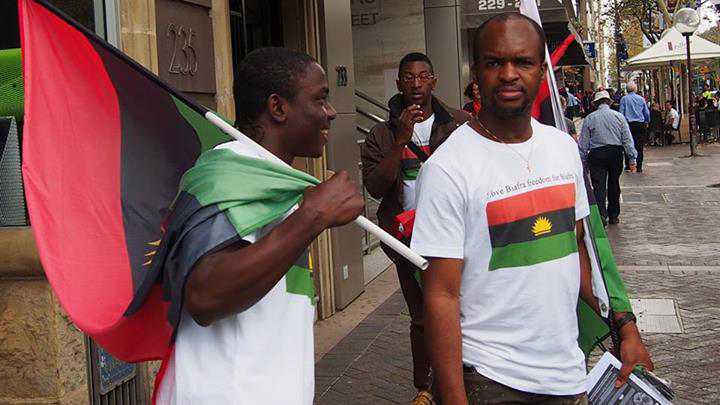 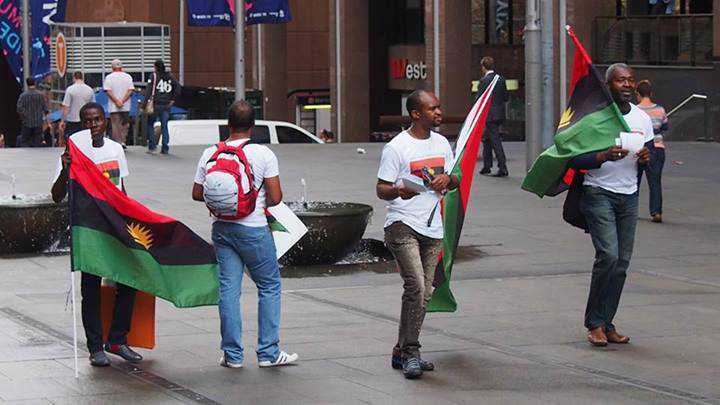 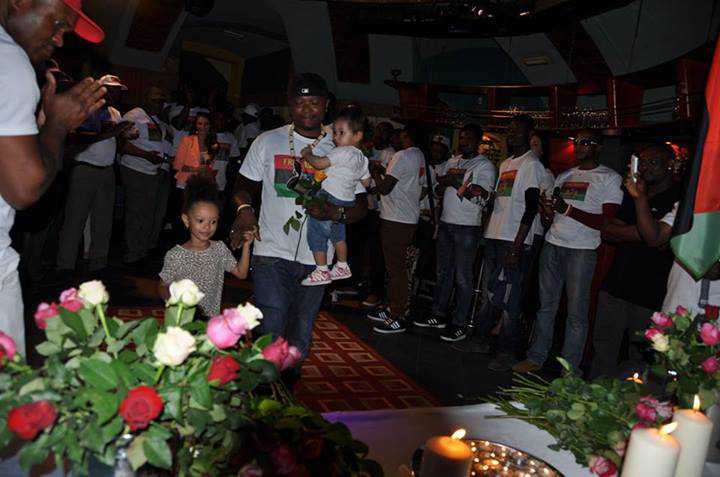 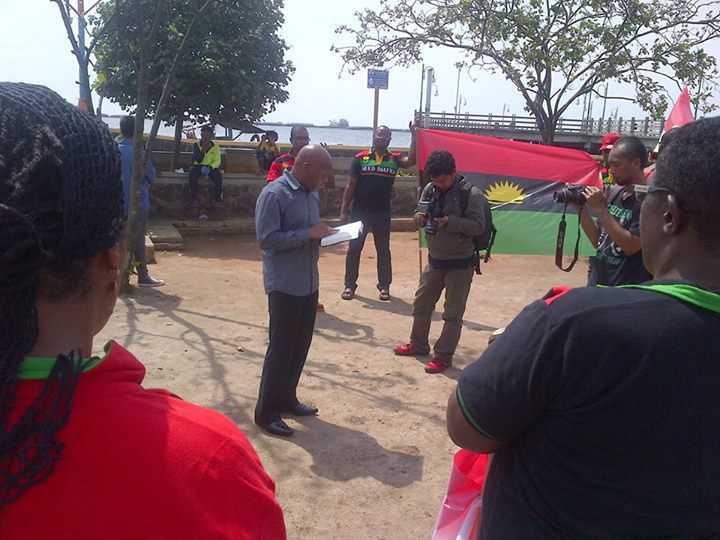 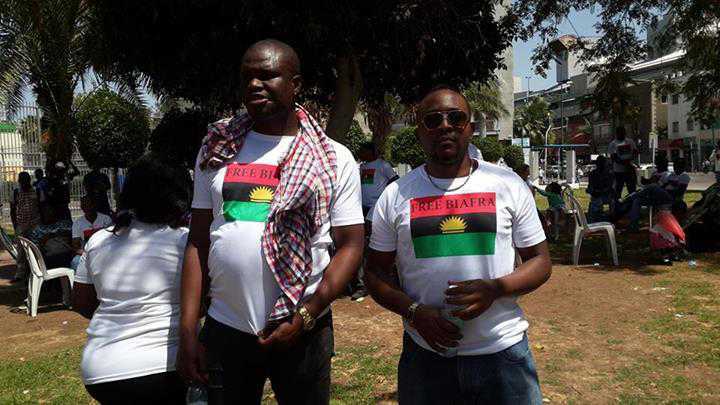 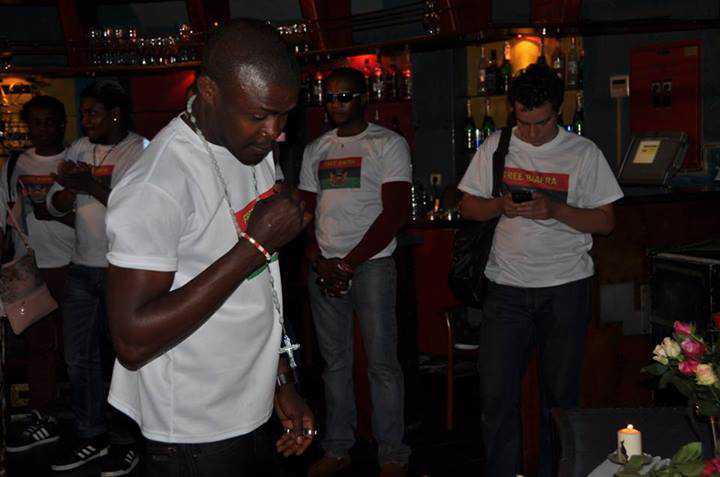 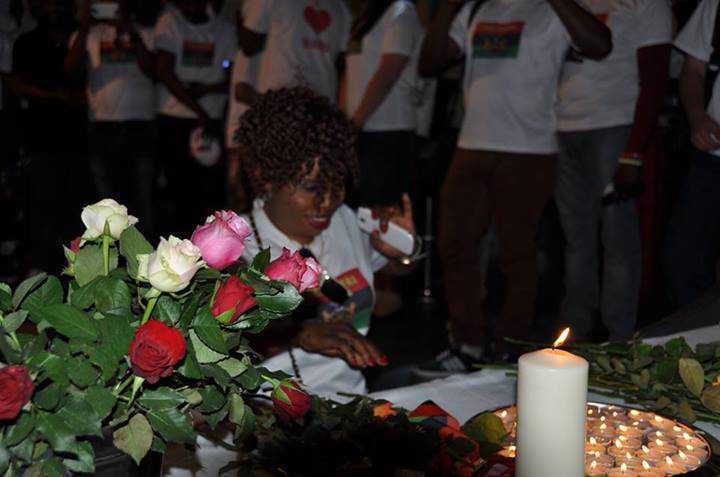 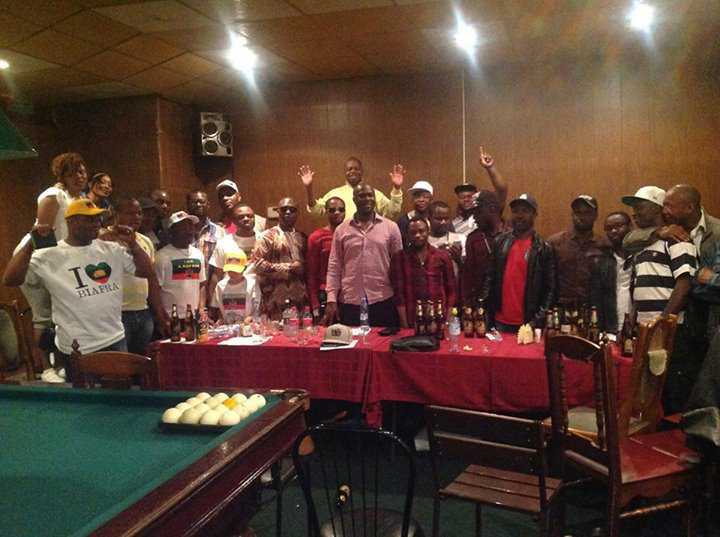 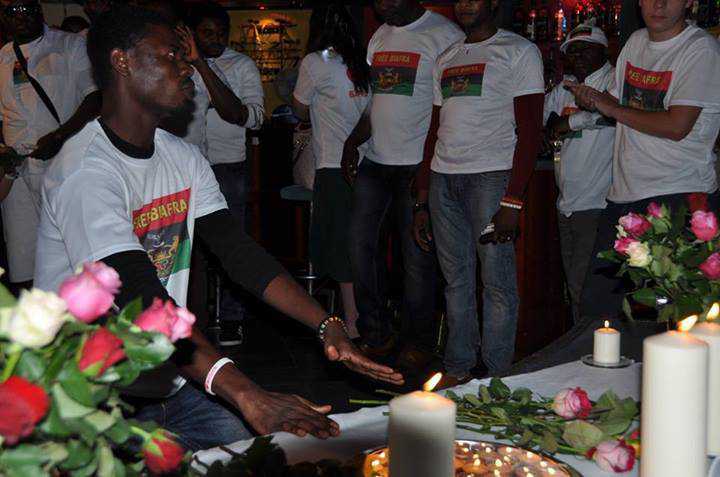 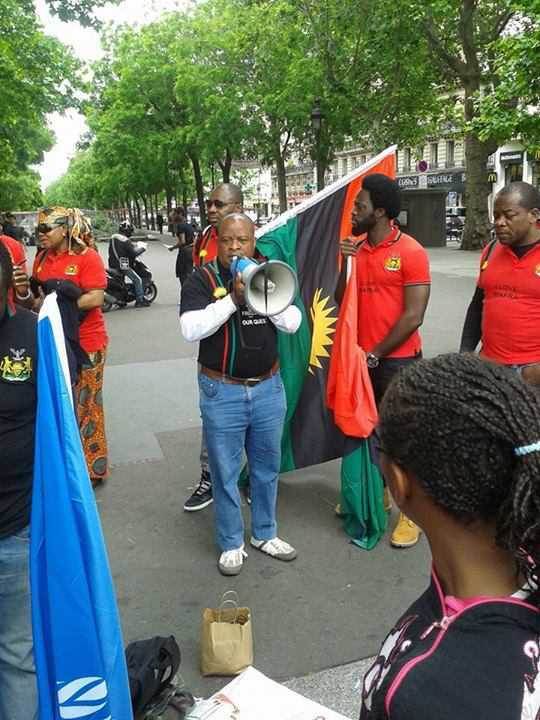 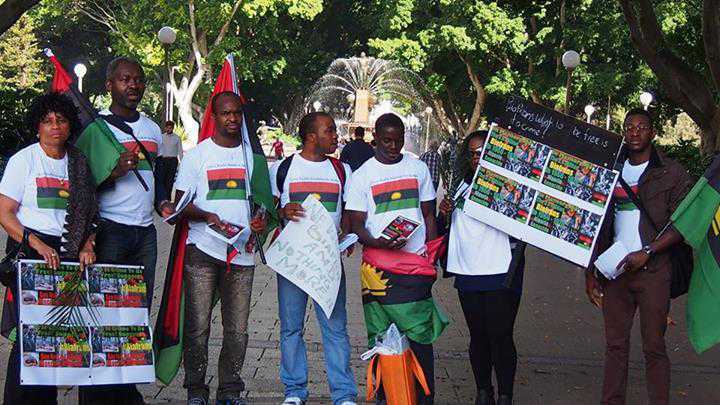 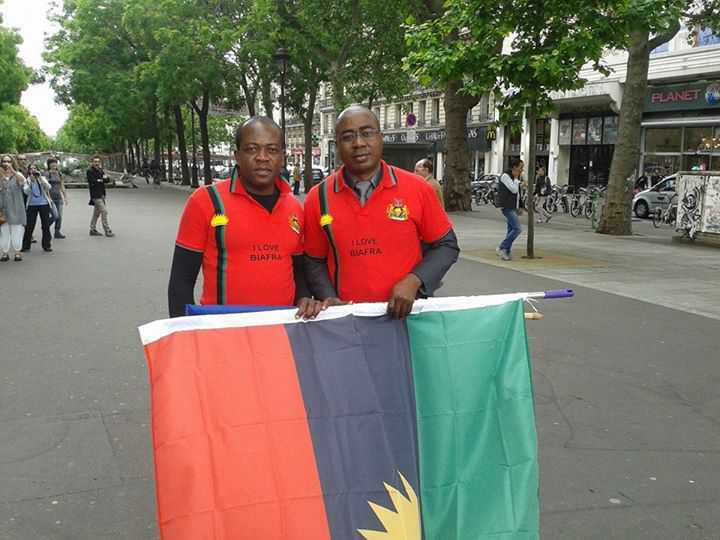 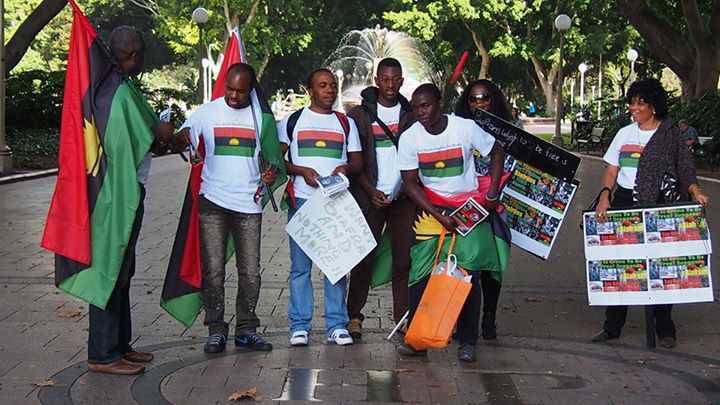 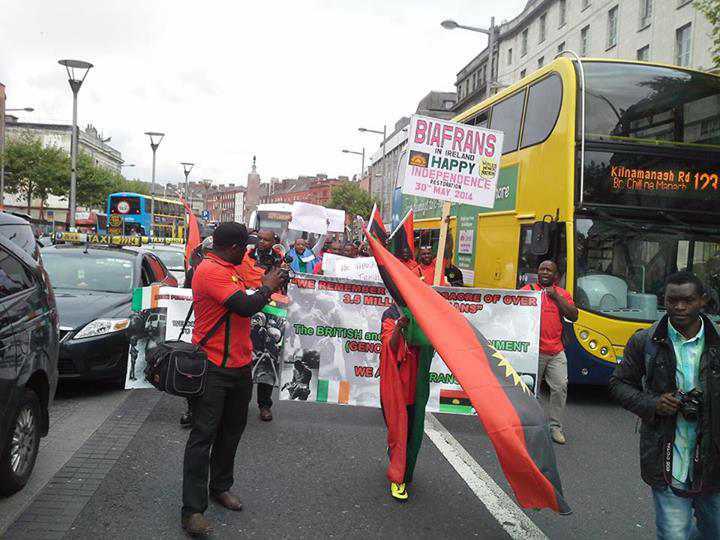 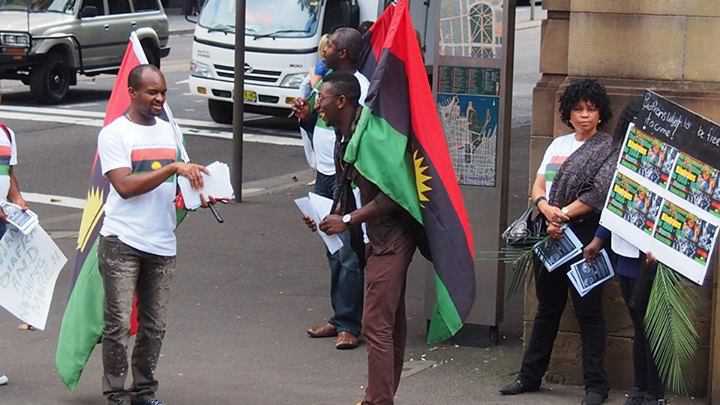 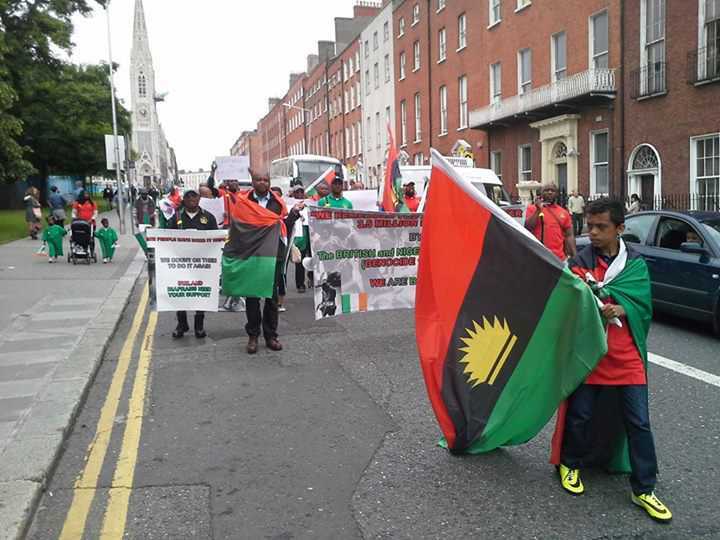 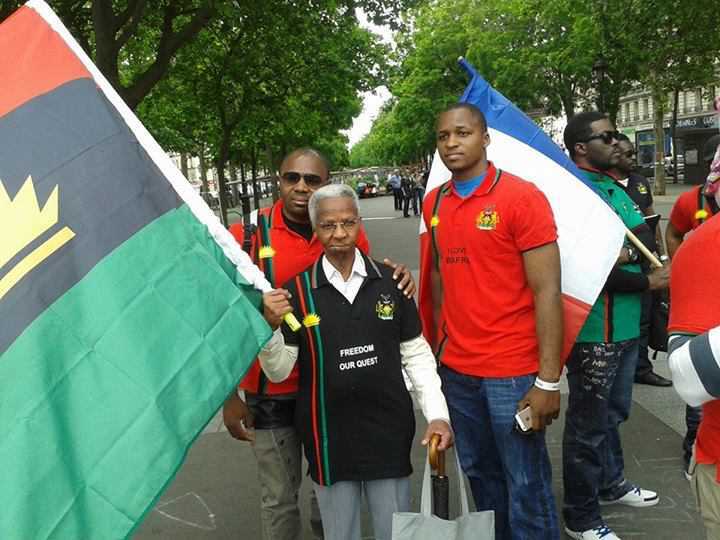 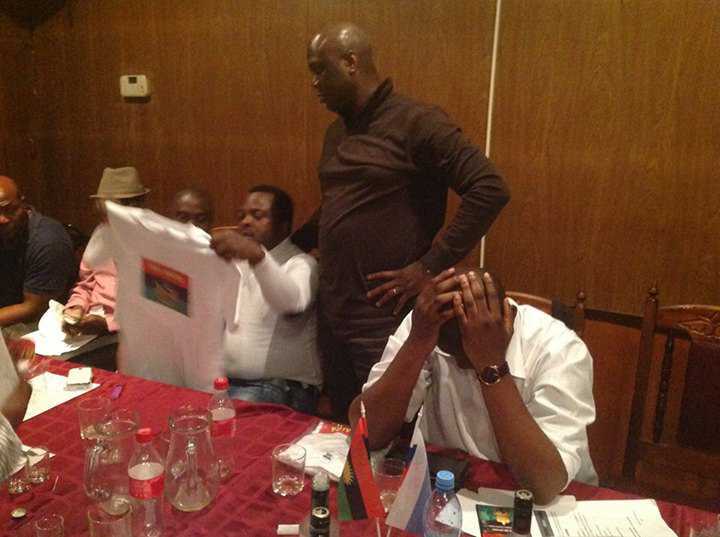 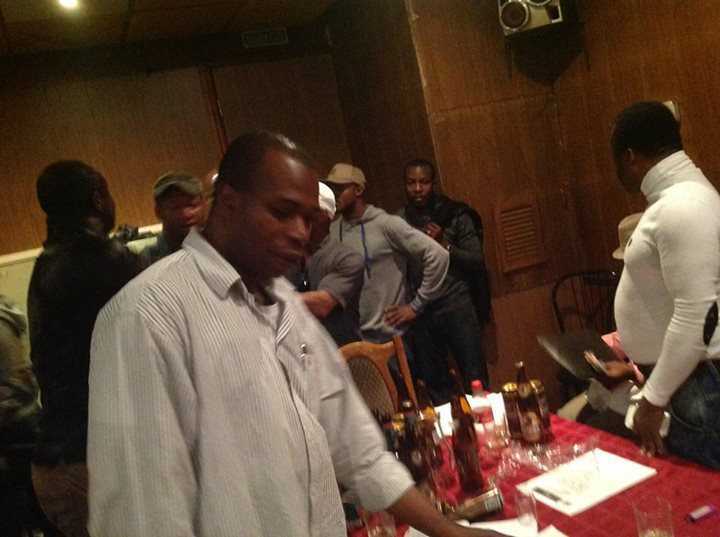 Radio Biafra London was first established in 2009 as an independent broadcasting outfit. 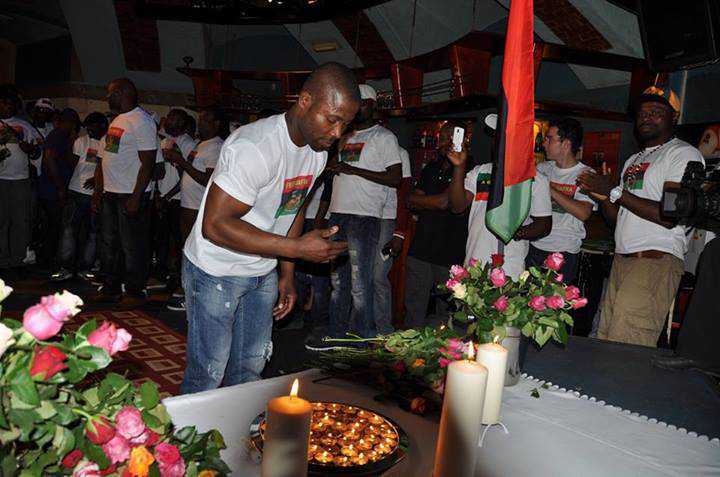 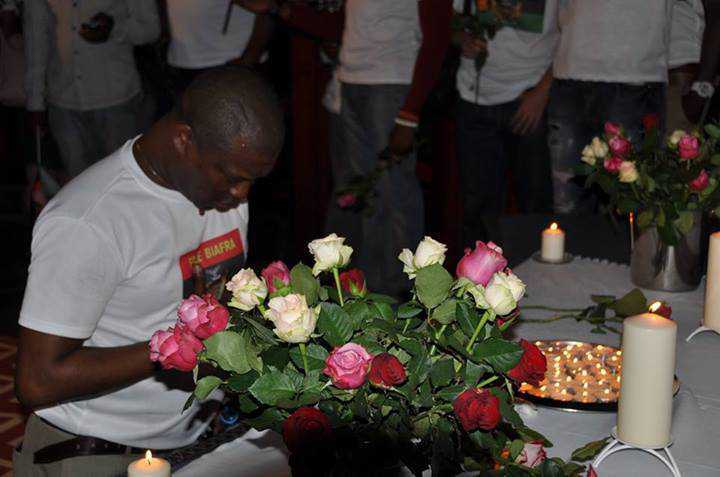 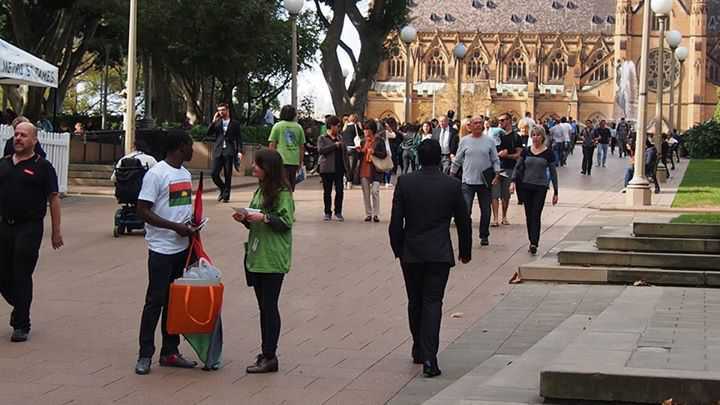 It broadcasted for six months but unfortunately went off air owing debilitating finacial and logistical hiccups. 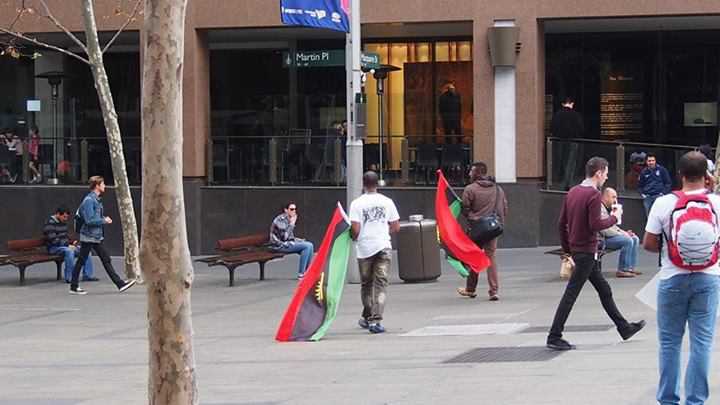 In 2012, we are back in style to continue in our usual tell-it-the-way-it-is fashion.It goes without saying that at Radio Biafra London, we strongly believe that theory without practice or practical application is useless and meaningless and that is why at Radio Biafra we accept that sometimes talking alone does not and will not bring about much needed change on its own. 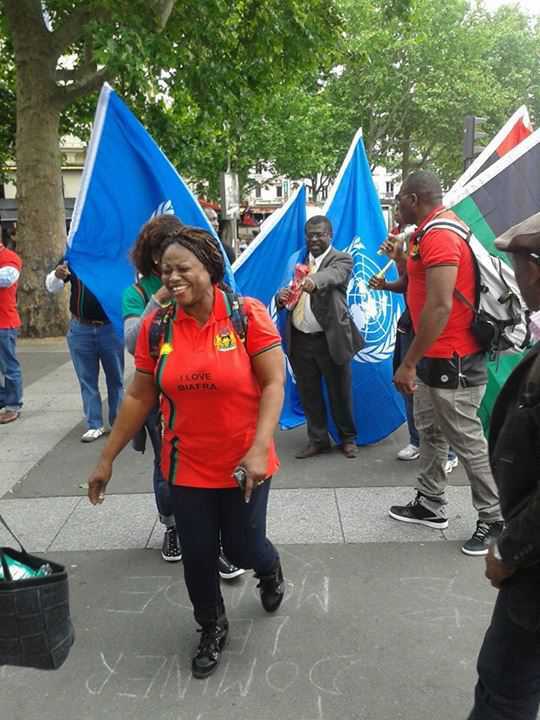 It needs people to act collectively and sensibly to put those theories into practice thereby achieving the desired objective. 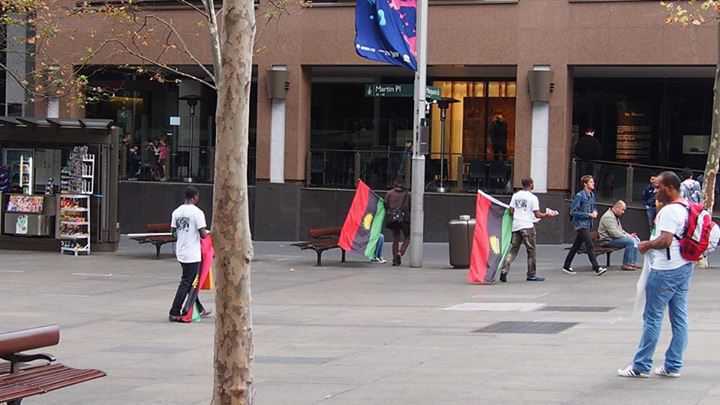 Radio Biafra daily radio programs aim to enlighten, educate and inform Biafrans both in Biafraland and those all around the world, as well as trying to be instrumental in the effort to free Biafra from oppression, subjugation and extermination of their ancient value systems, cultures and languages. 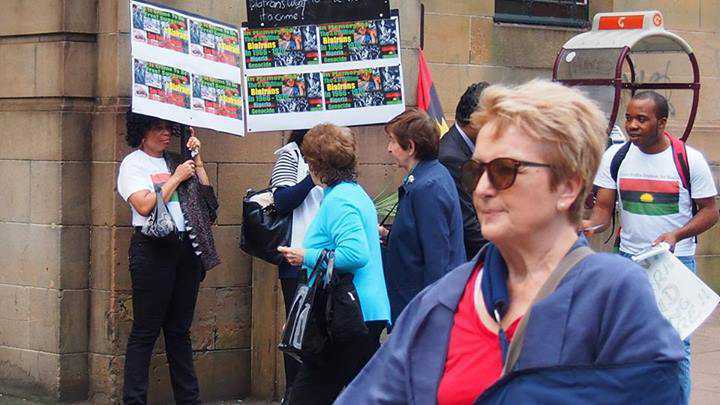 They provide unbiased news and trustworthy information, educating people in issues of democracy and internationally acknowledged perspectives on human rights and importantly the rights of women. 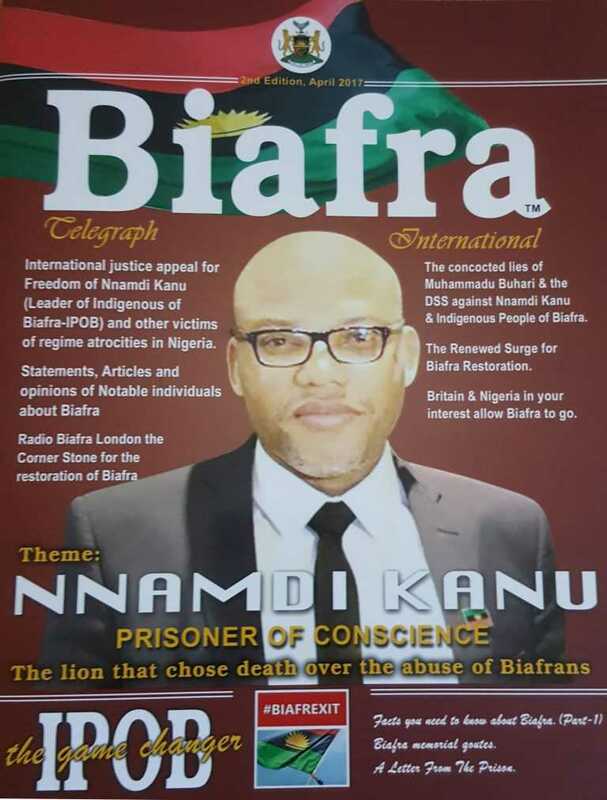 At Radio Biafra we see news presentation and information dissemination as being critical to raising the collective consciousness of the millions of people under feudal oppression in their daily lives in Nigeria, but equally importantly is the in-depth analysis of each news item, which makes it easier for the information presented to be understood by an average person, no matter how limited their understanding of convoluted grammar is. 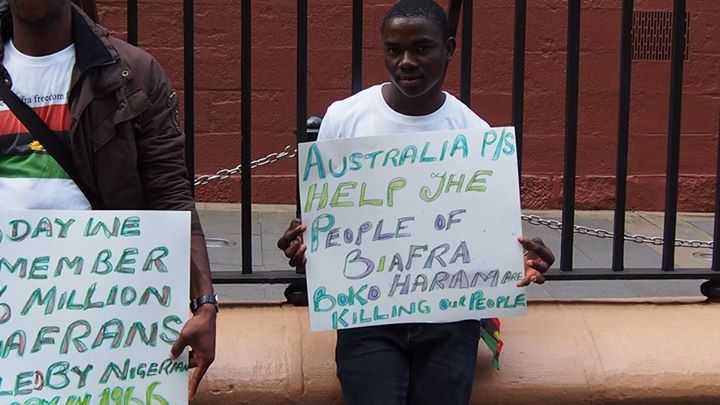 The media in Nigeria present news, views, analysis and commentary with a level grammar designed to confuse rather than enhance the understanding of issues by poor illiterate masses. 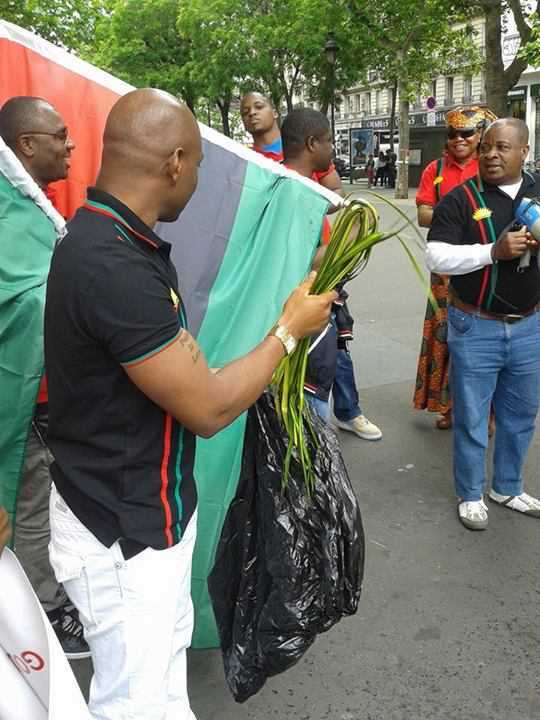 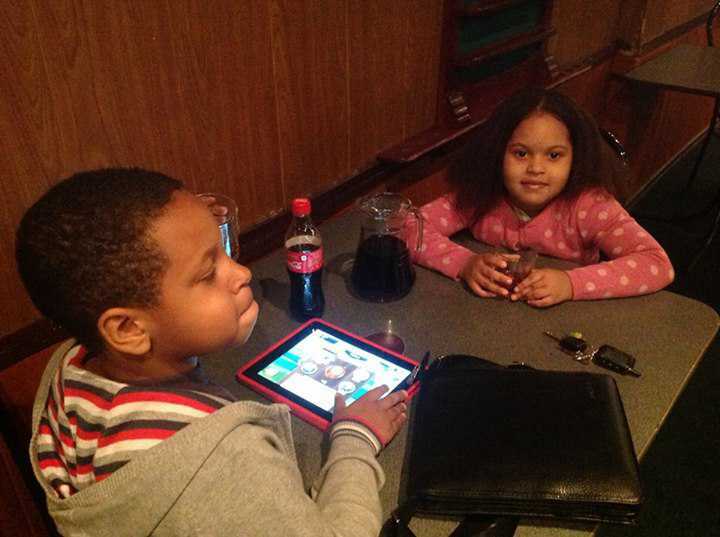 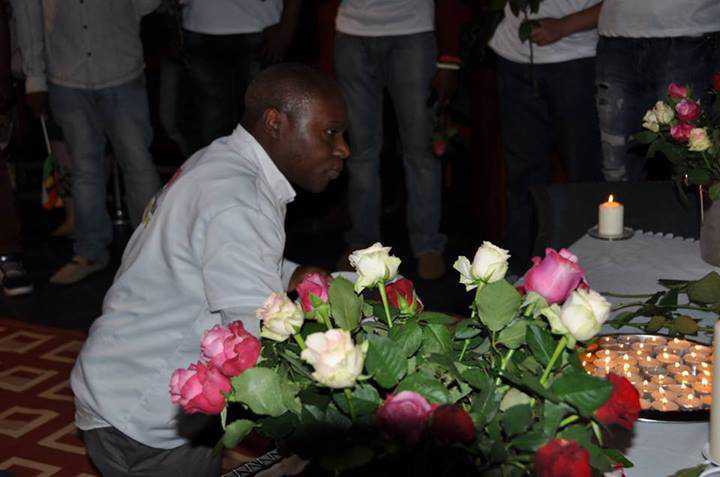 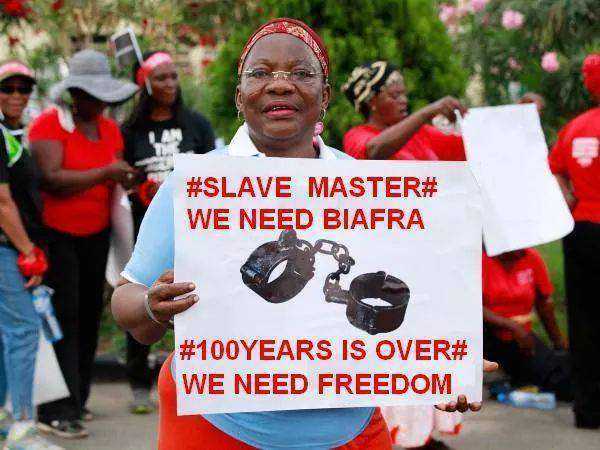 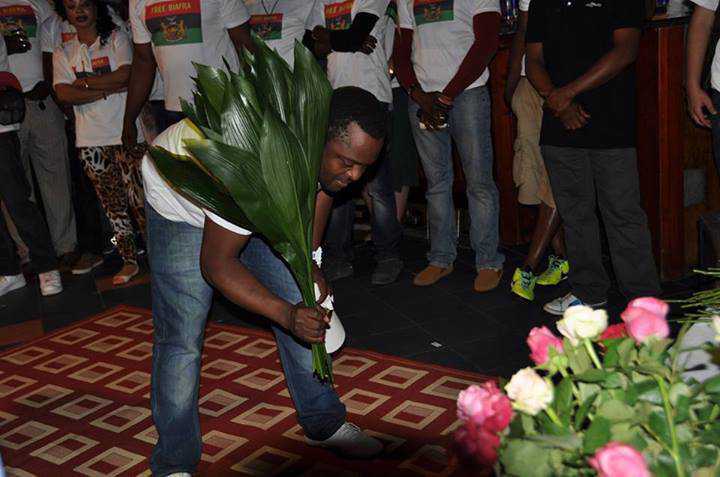 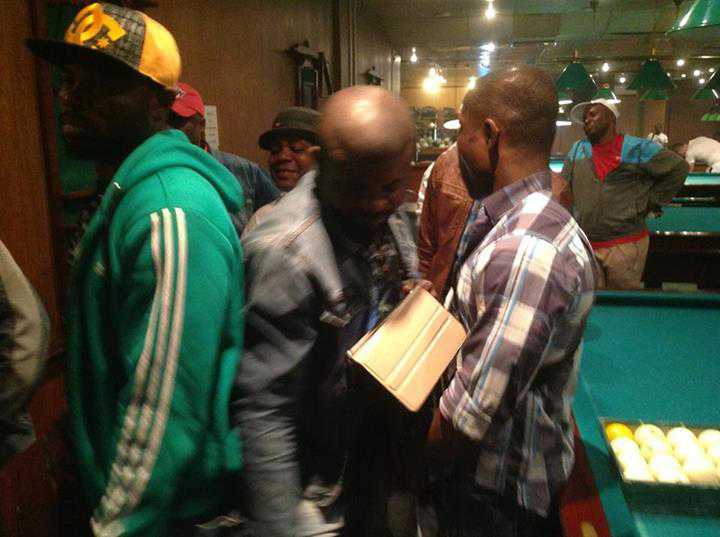 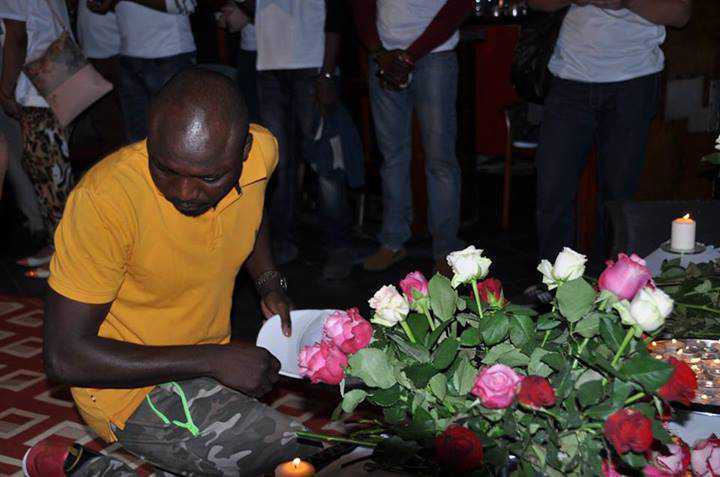 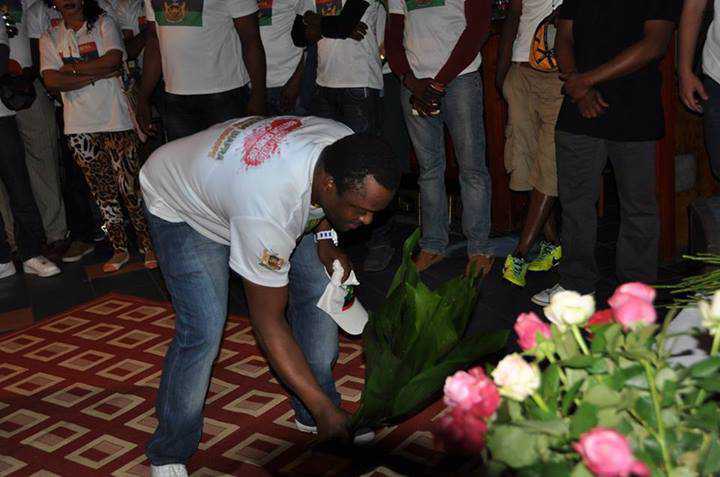 Radio Biafra recognises that knowledge and information is useless unless put to good use by those receiving it. 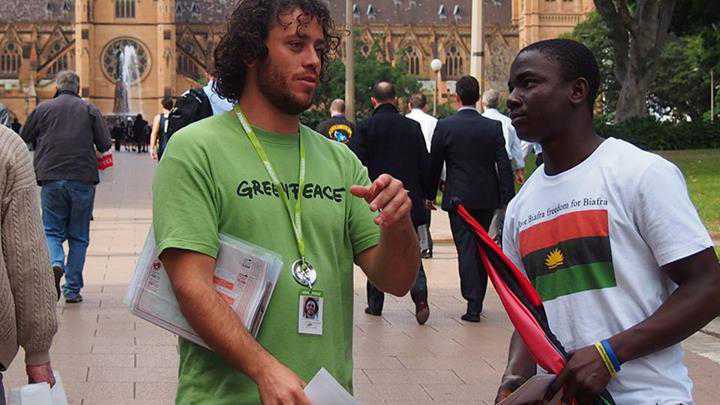 With this in mind, our programs are designed to enlighten and educate the poor masses to help them recognise and enforce their fundamental rights as free beings, capable of thinking and articulating a response to their state of hopelessness within the Nigerian state. 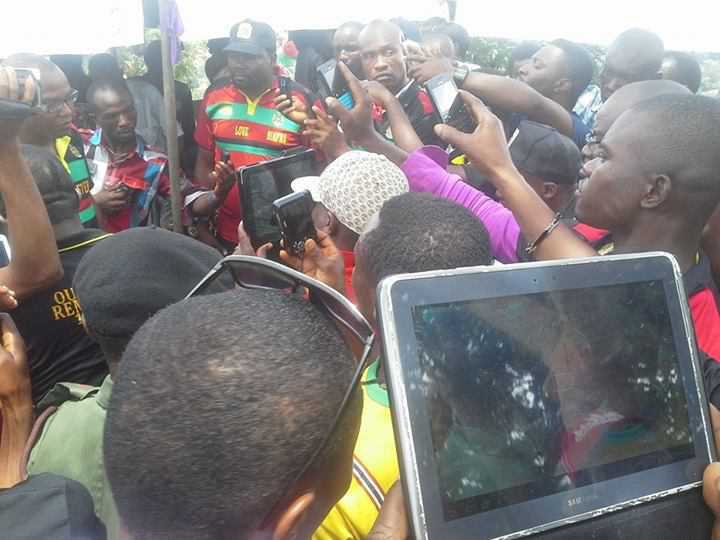 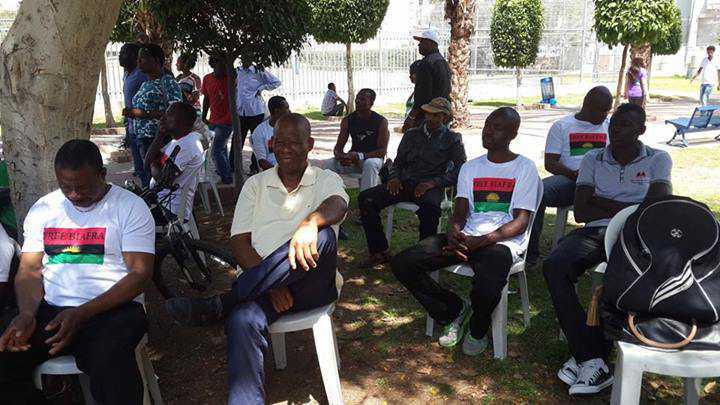 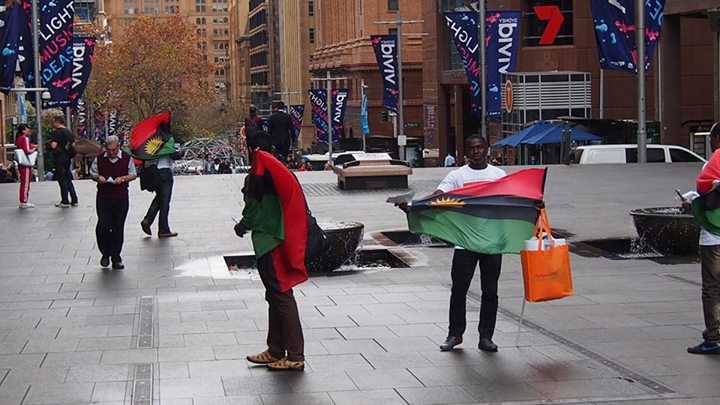 Radio Biafra is an empowering tool with which positive change can be made possible by collective will. 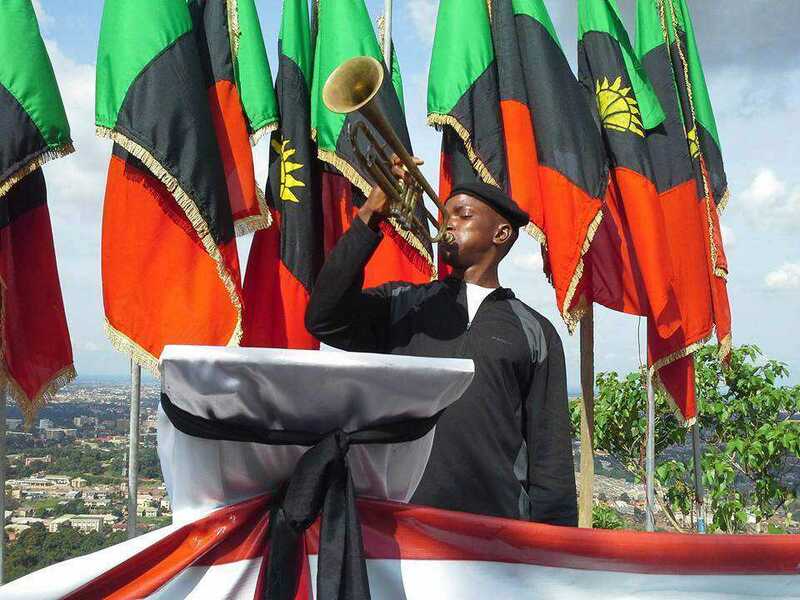 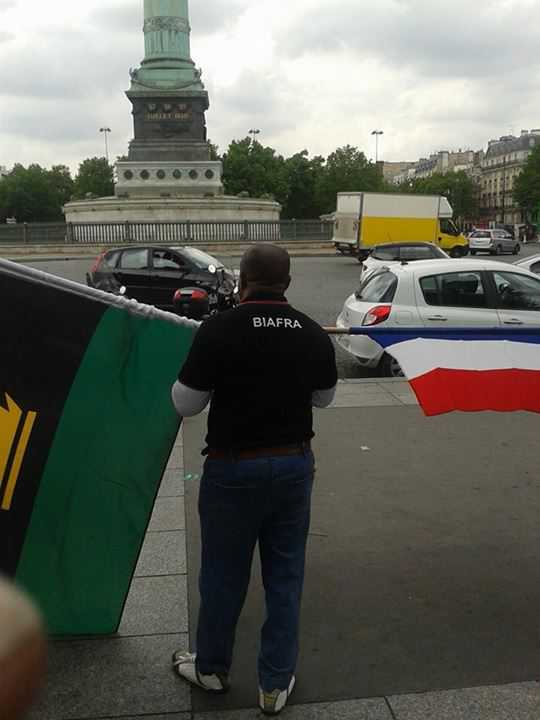 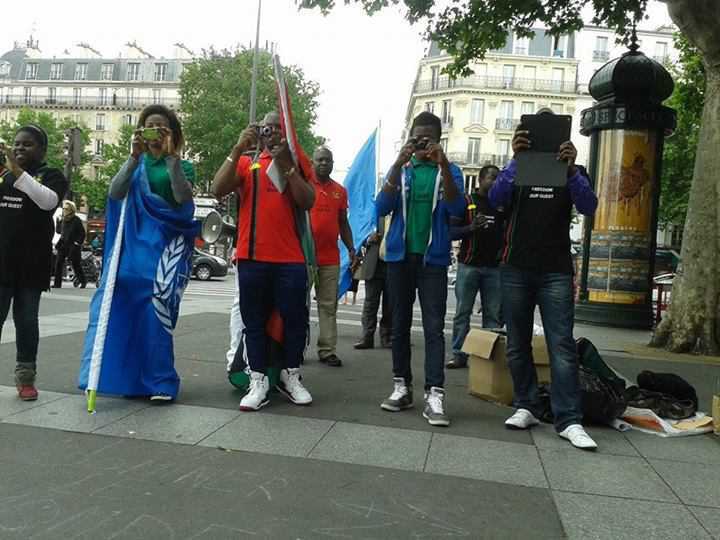 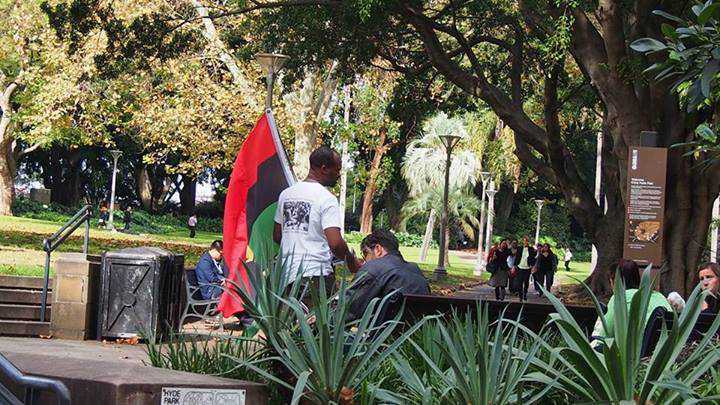 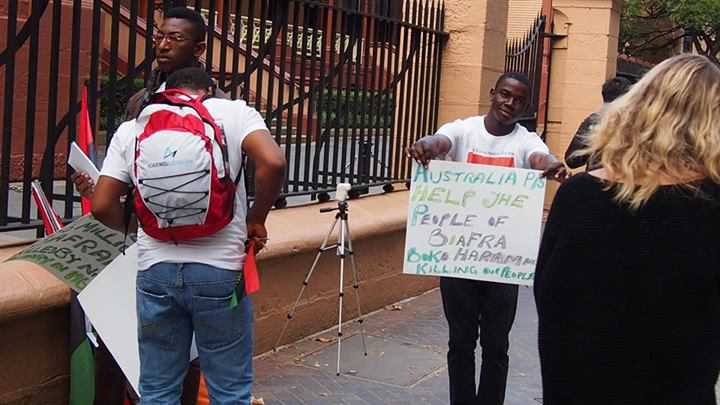 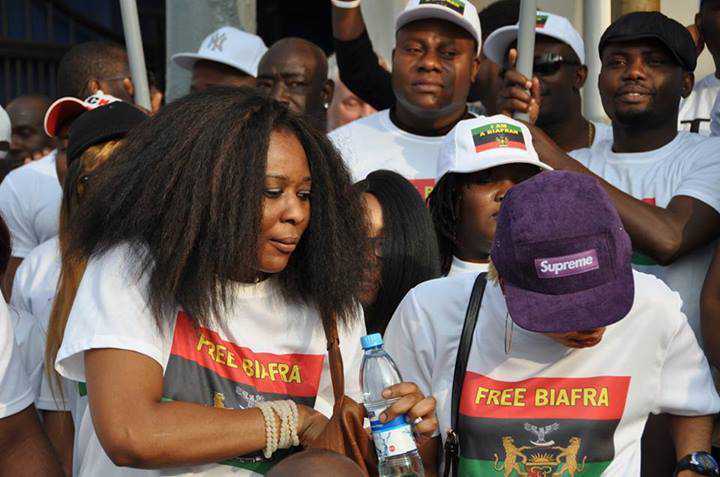 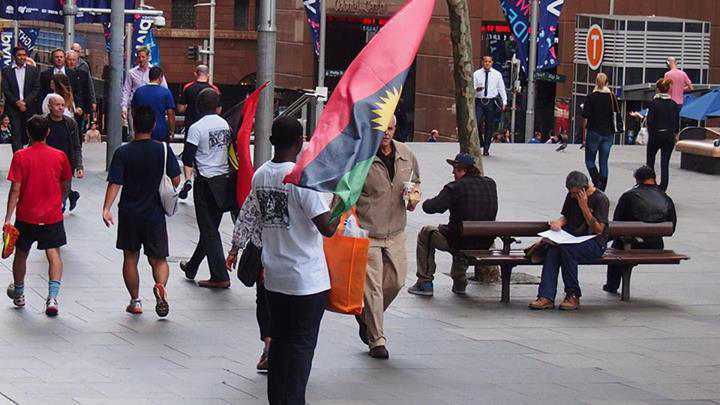 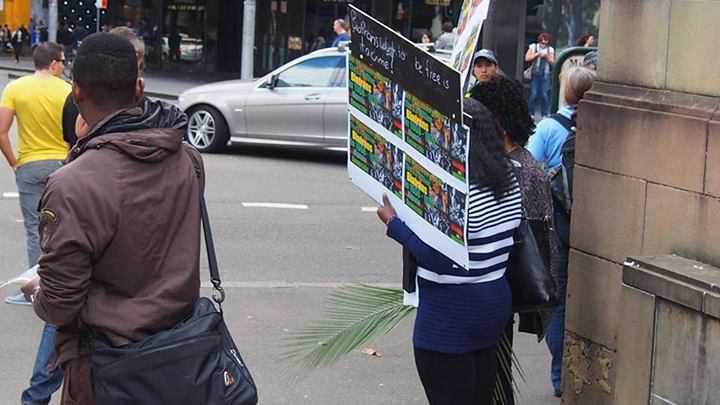 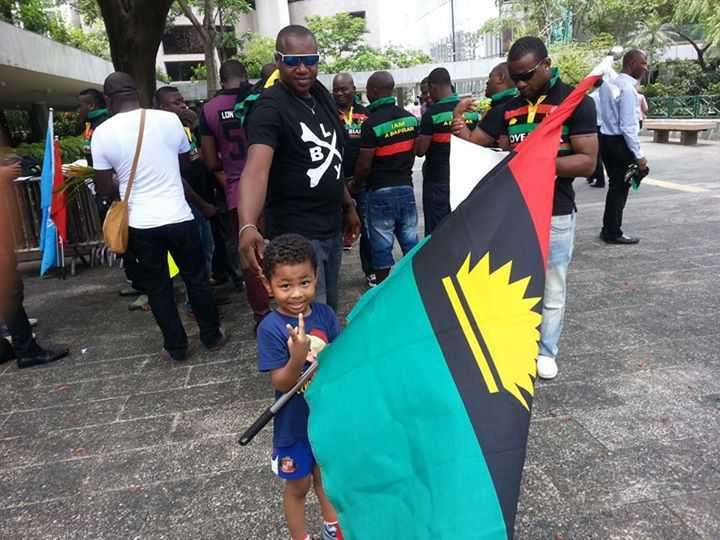 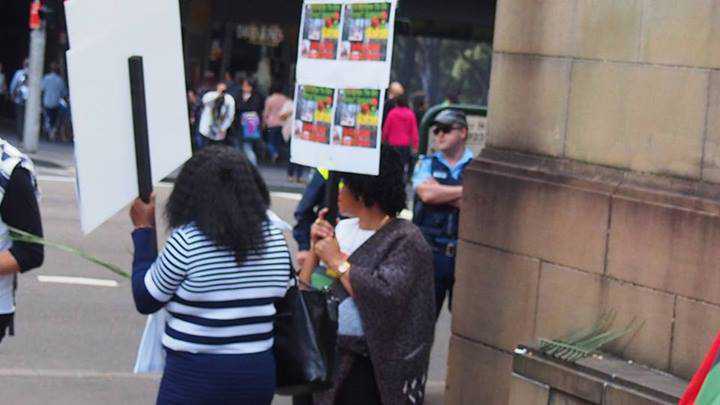 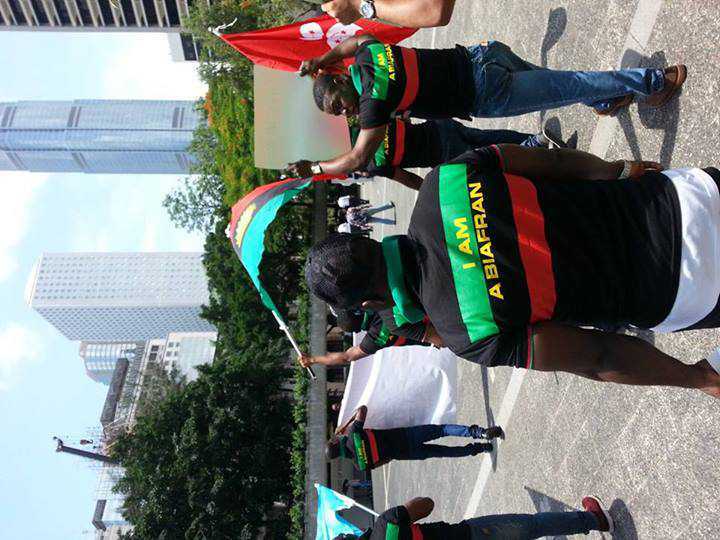 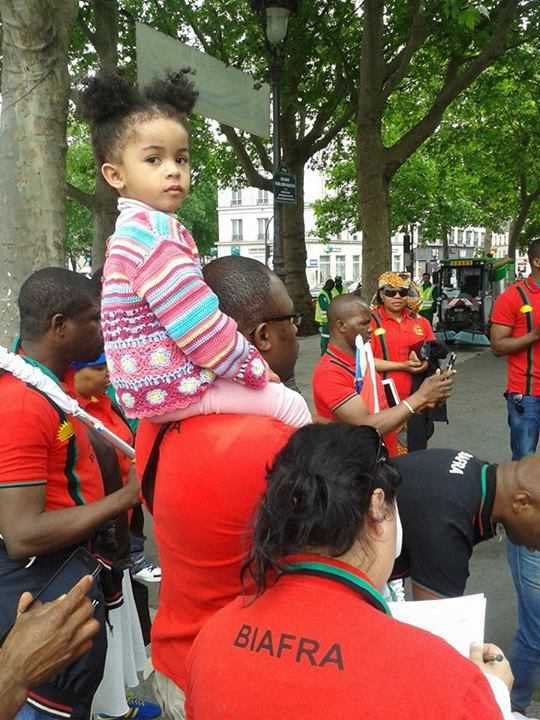 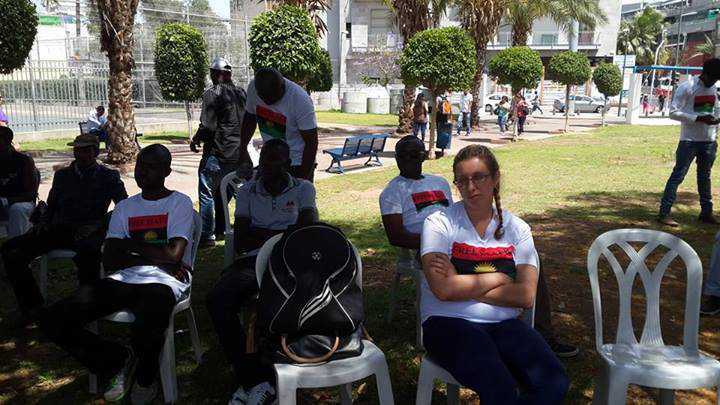 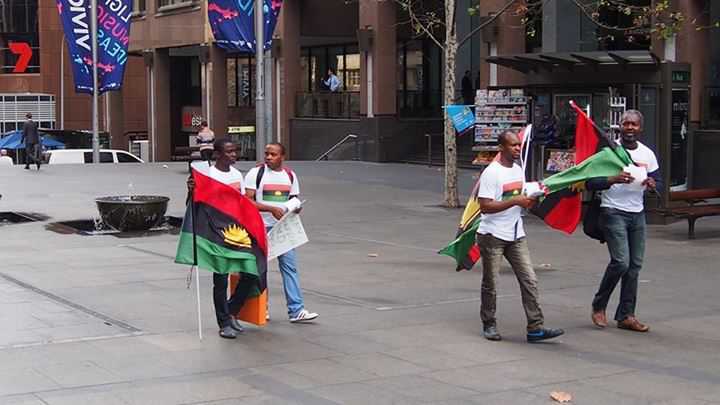 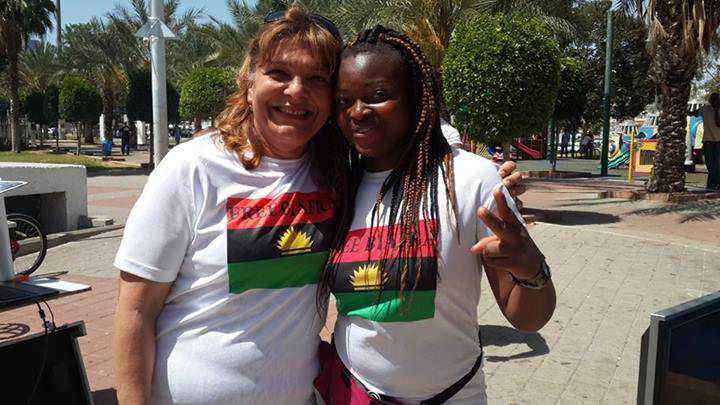 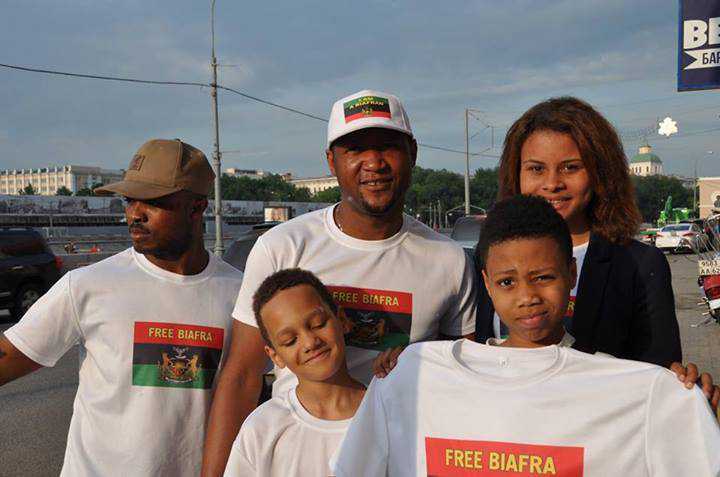 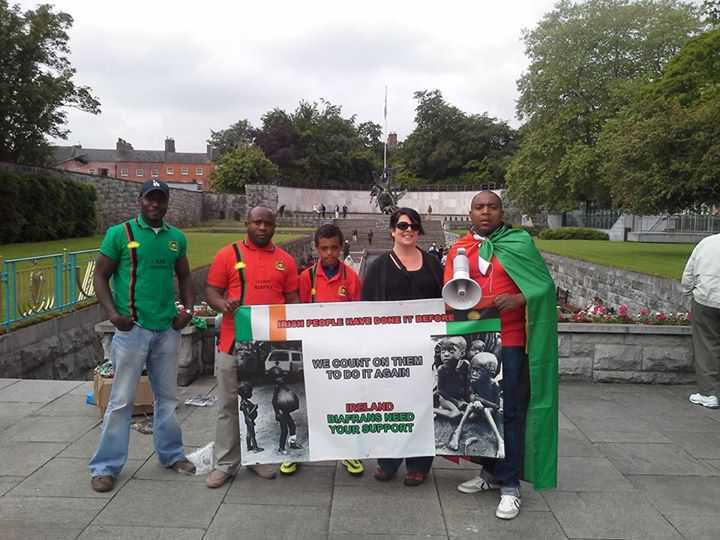 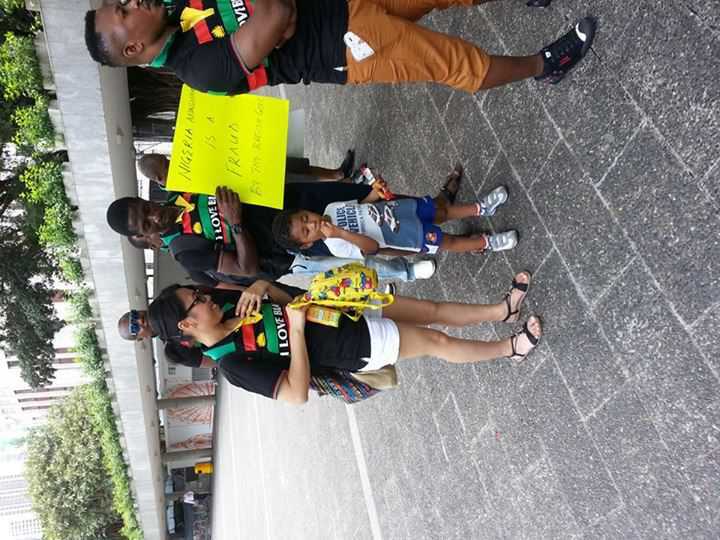 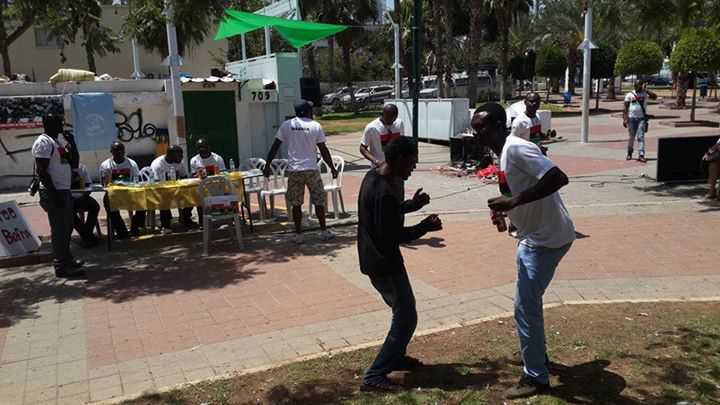 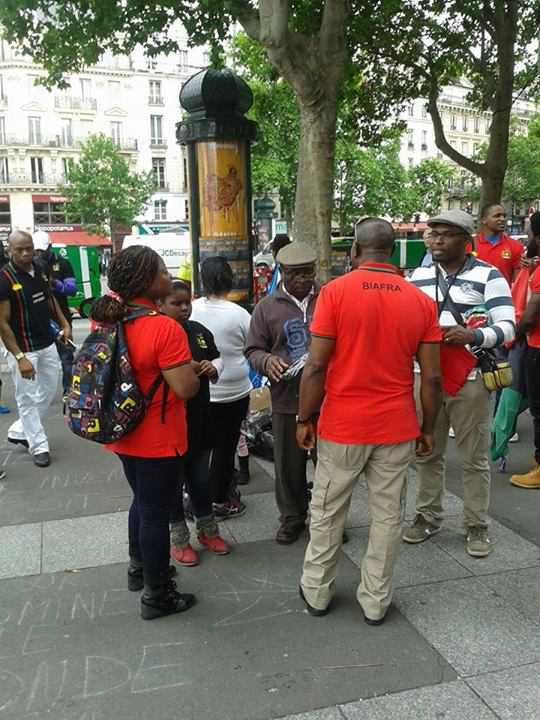 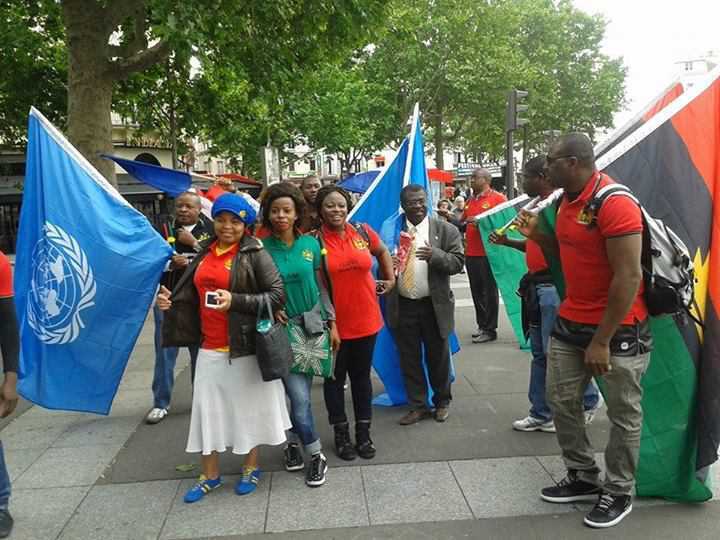 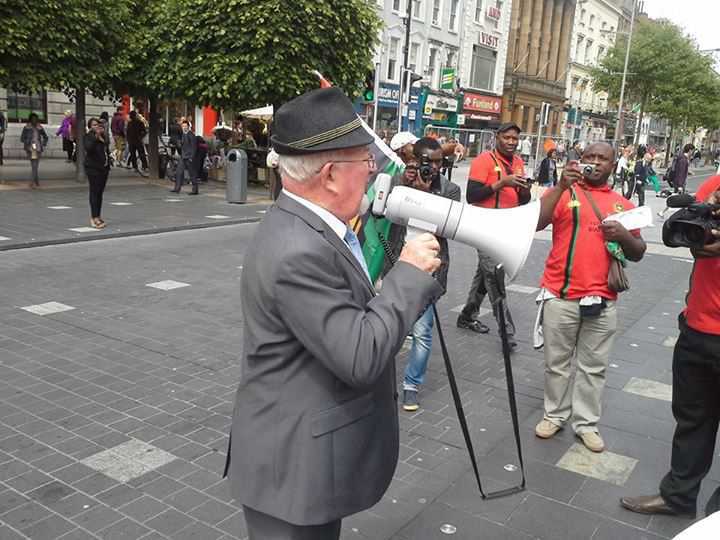 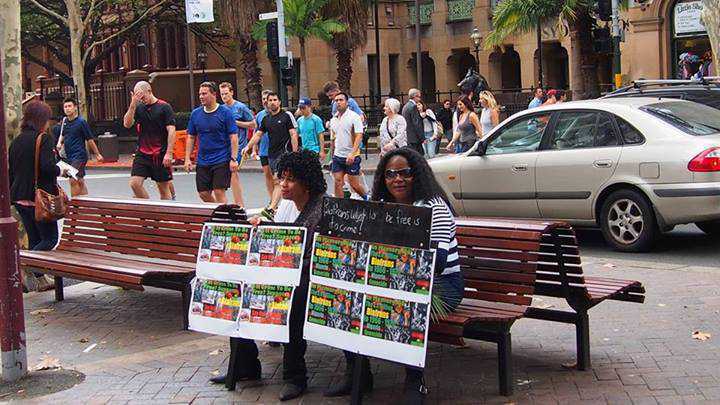 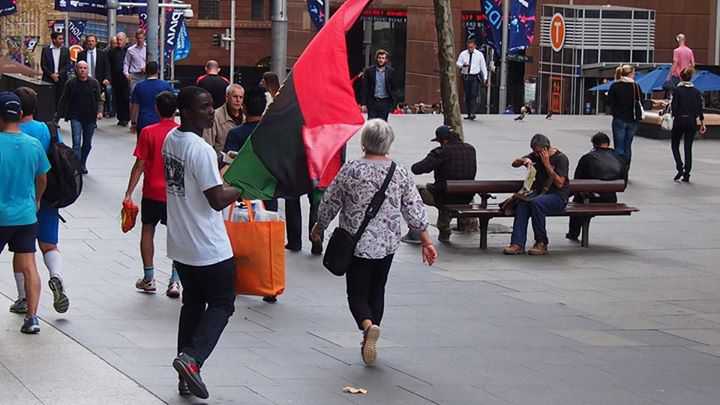 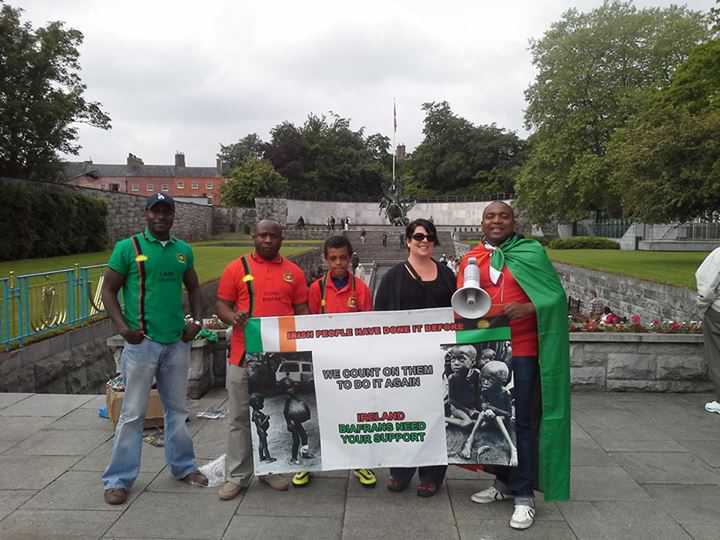 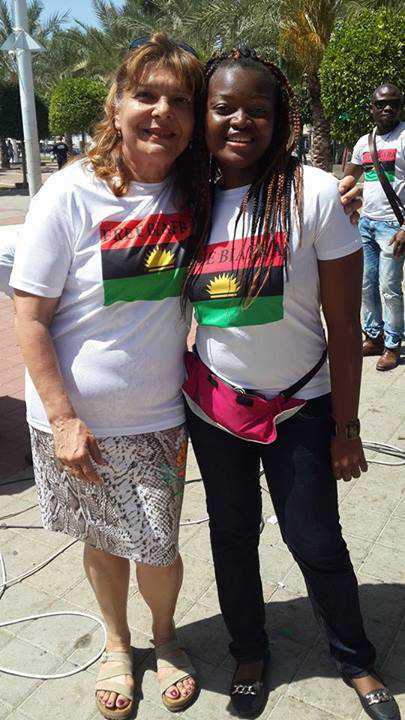 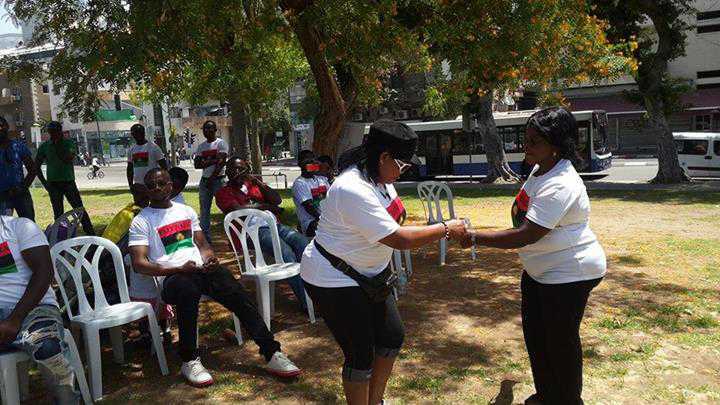 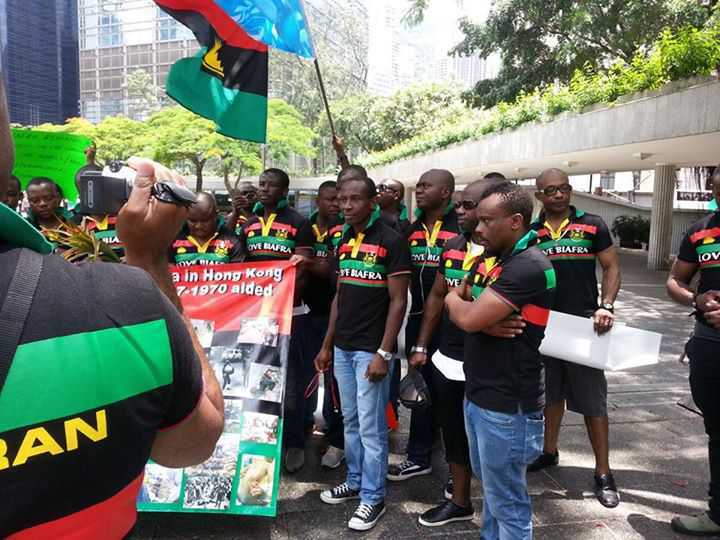 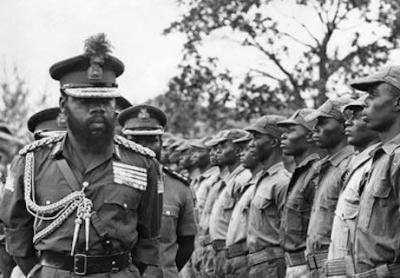 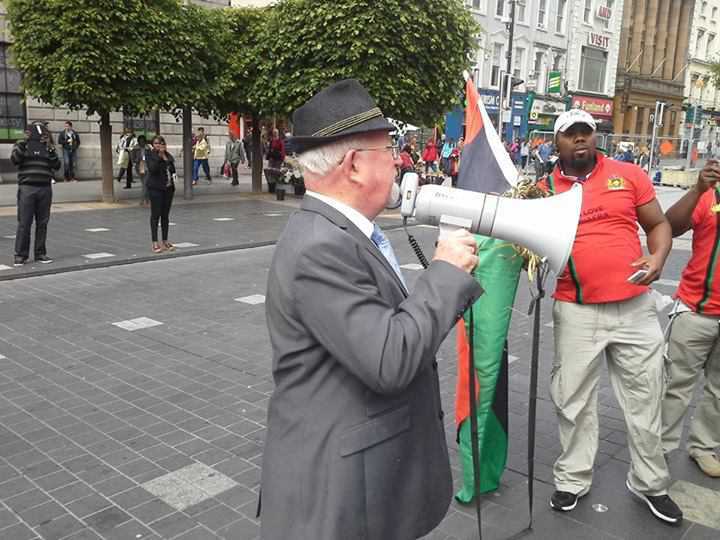 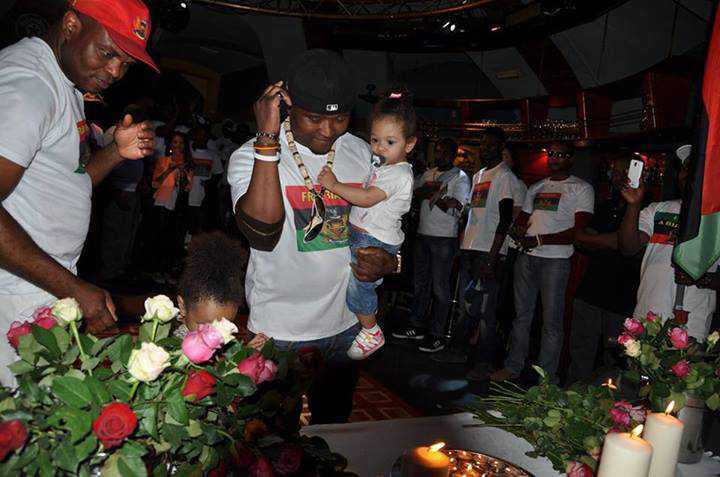 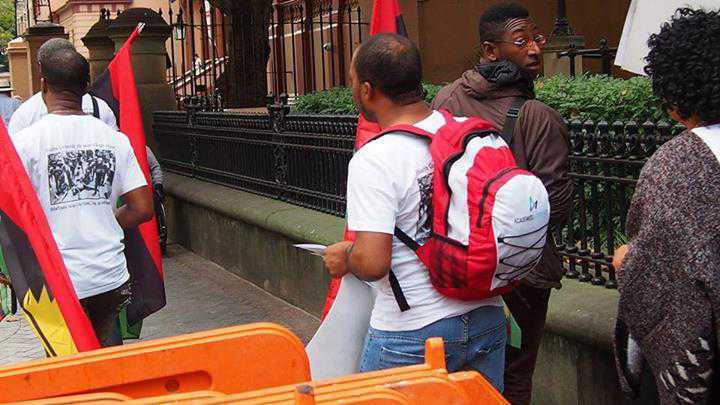 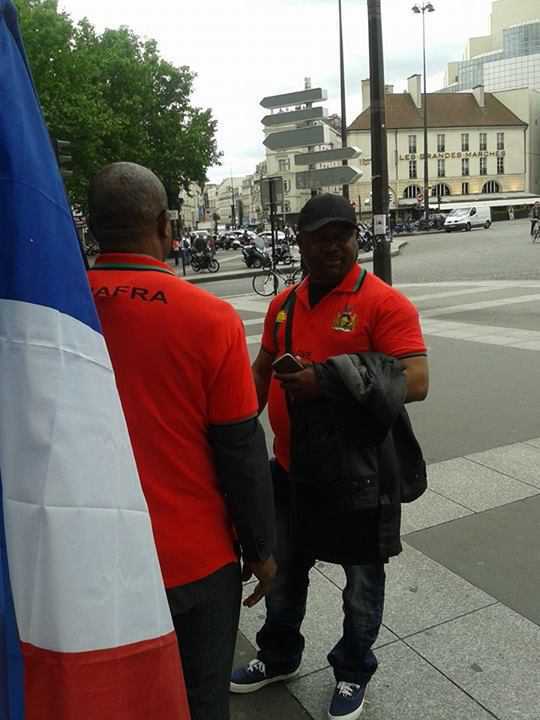 Radio Biafra provides an interactive medium for promoting Biafran awareness, culture and identity, knowing that people in other parts of the world are concerned about the present situation in Biafraland and Nigeria. 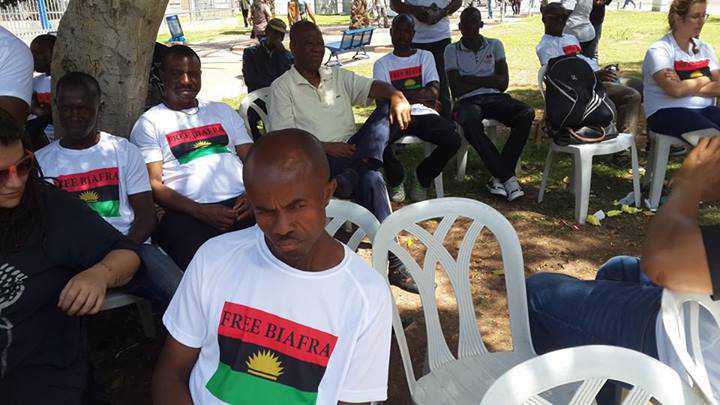 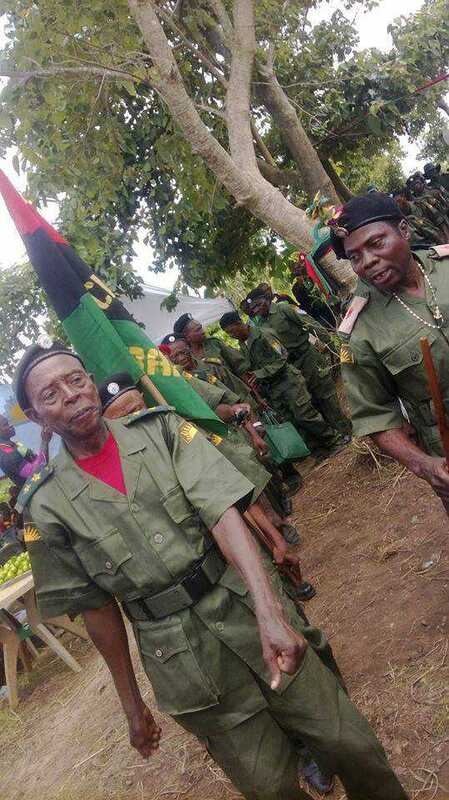 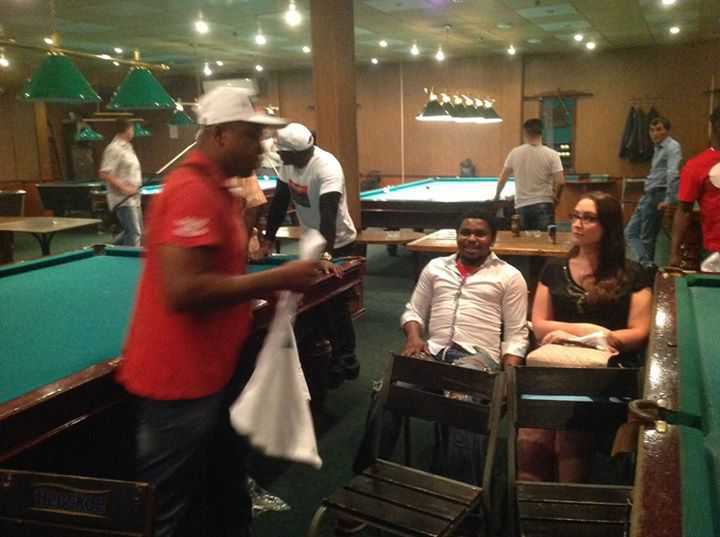 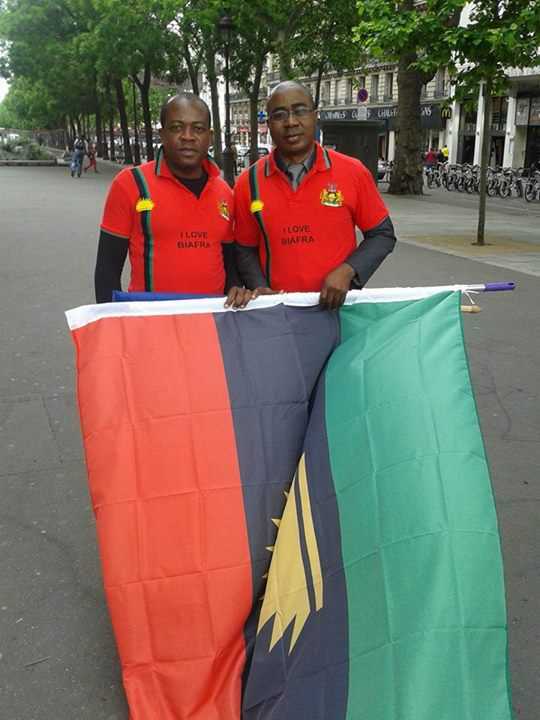 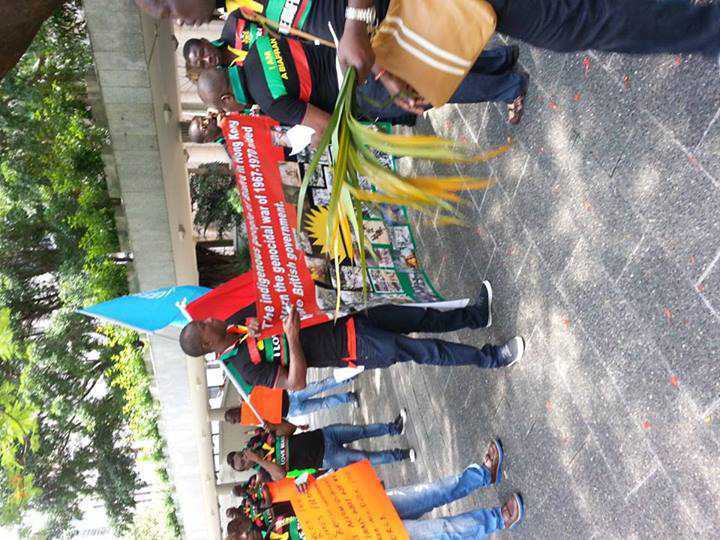 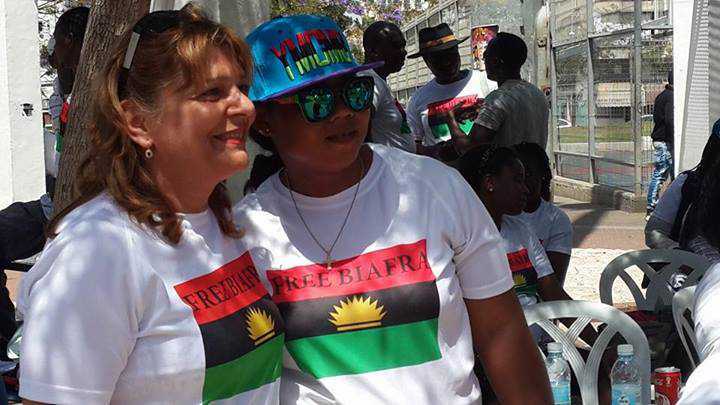 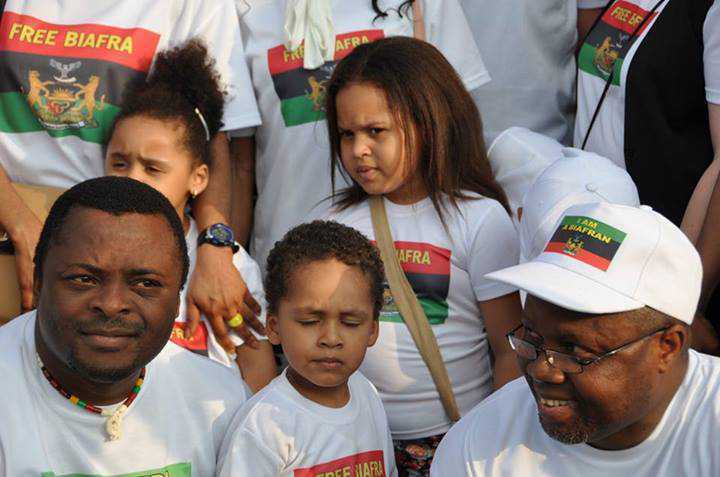 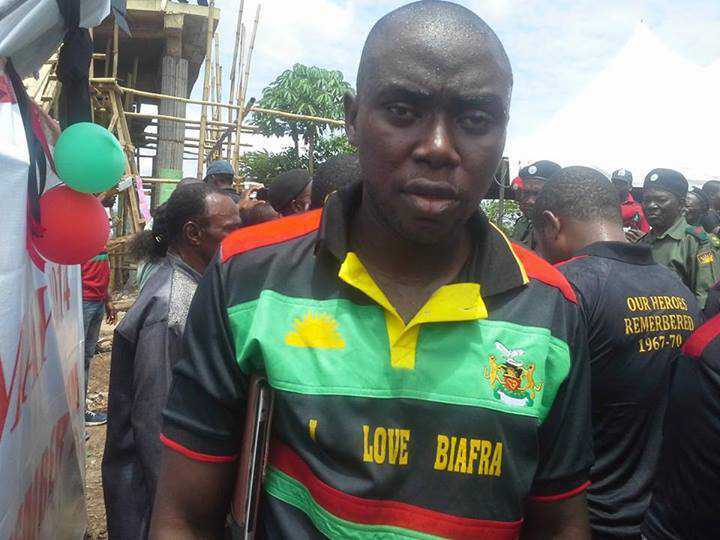 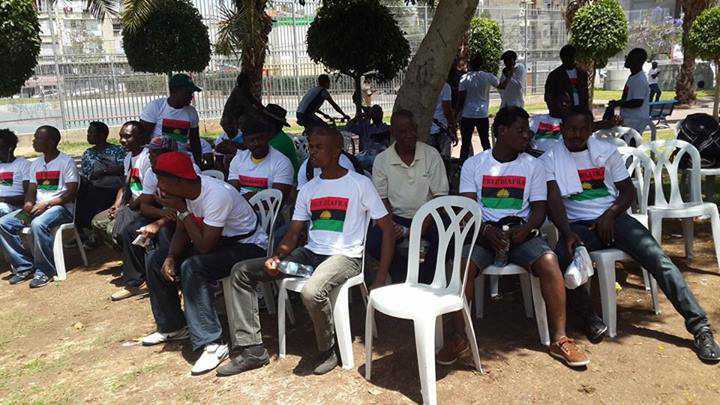 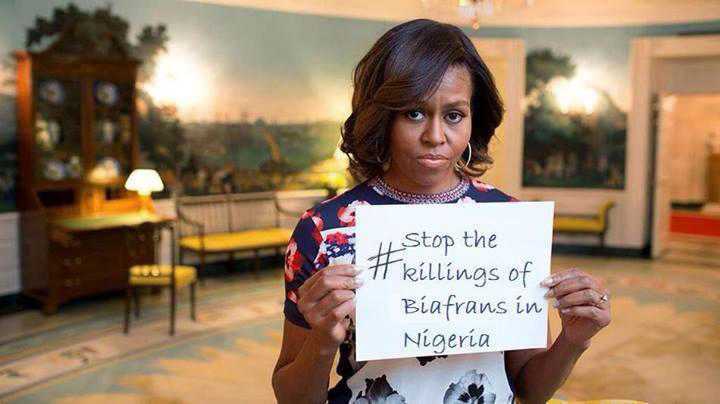 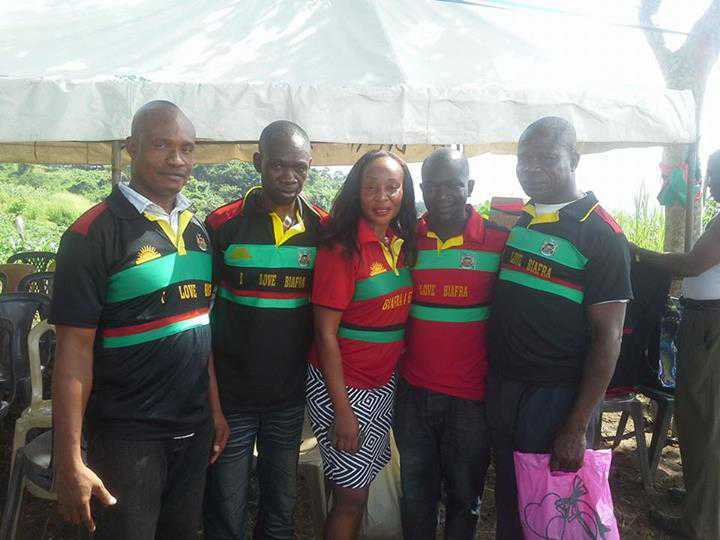 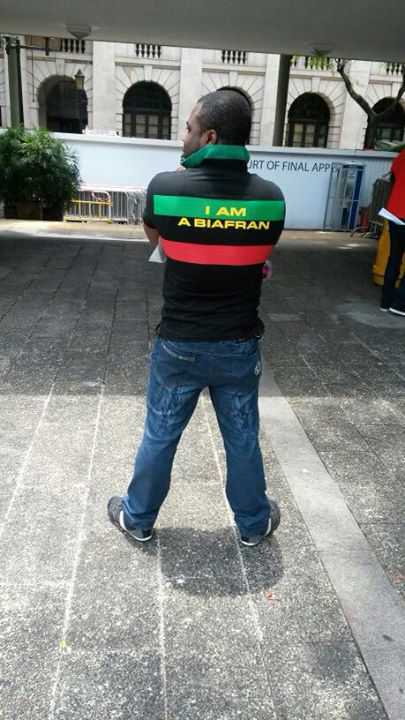 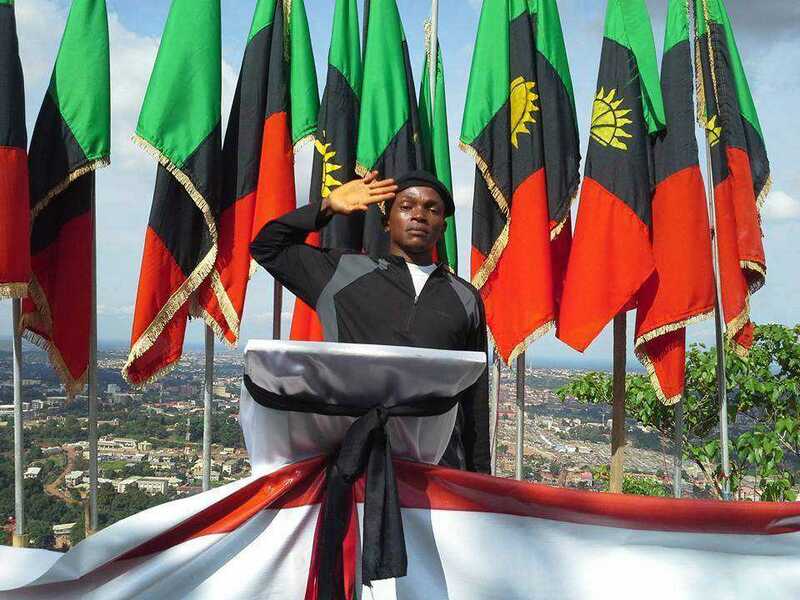 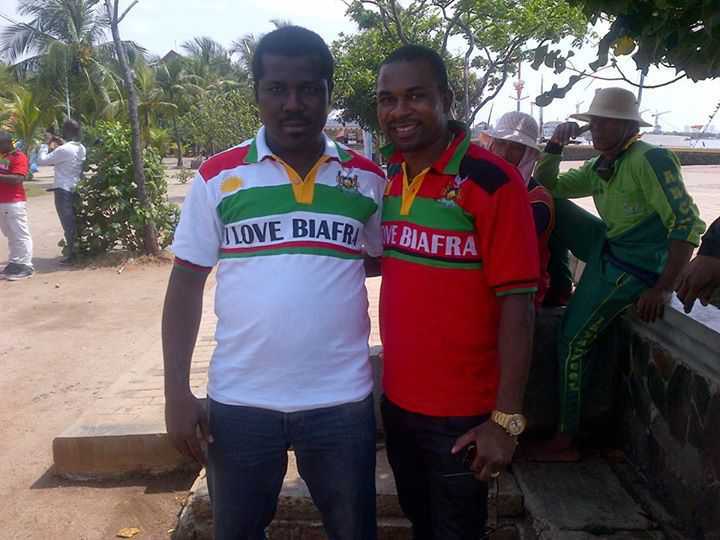 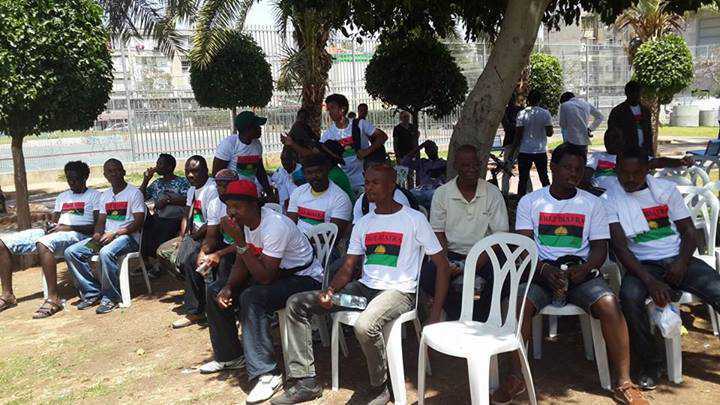 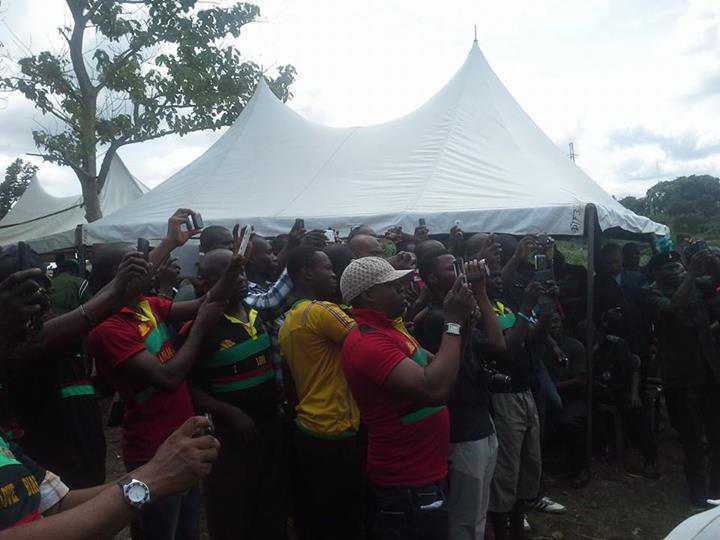 The programs also reach out to the large non-literate population in Biafraland. 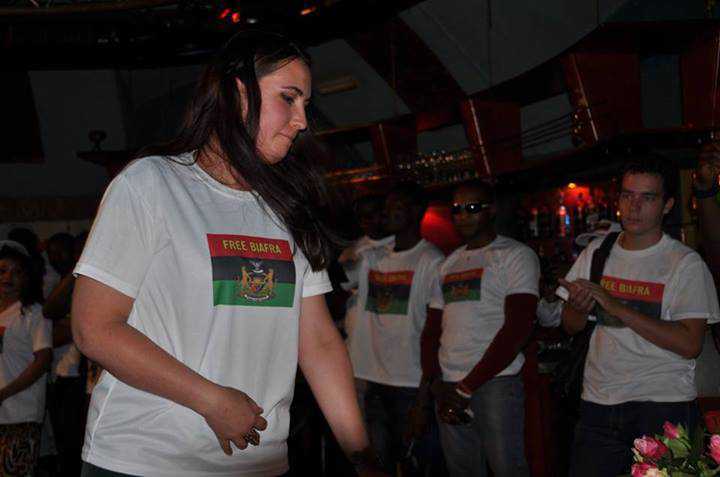 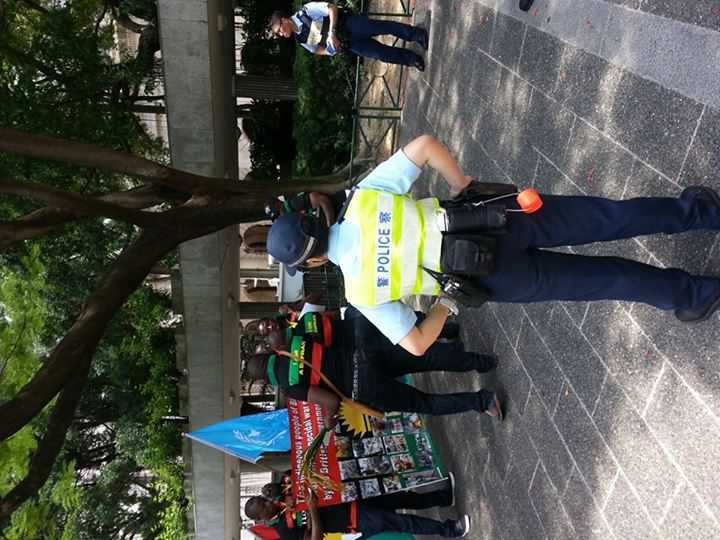 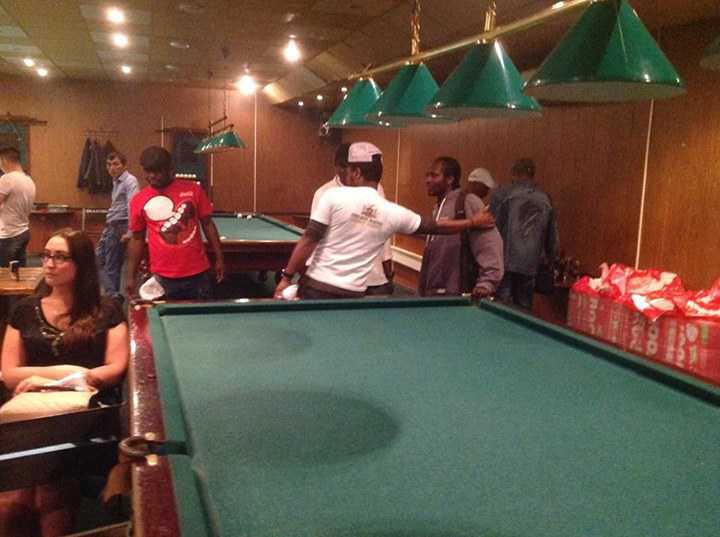 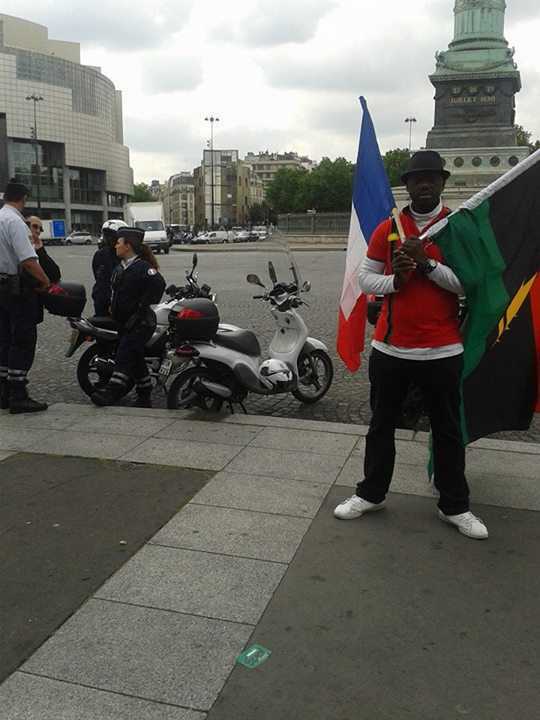 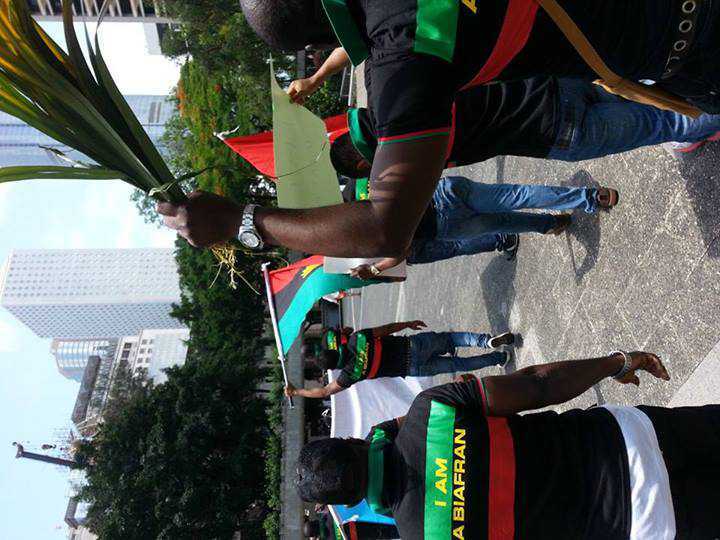 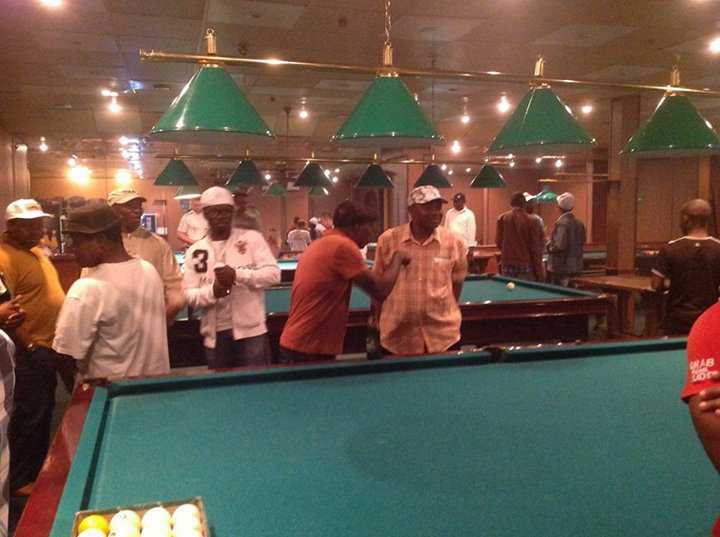 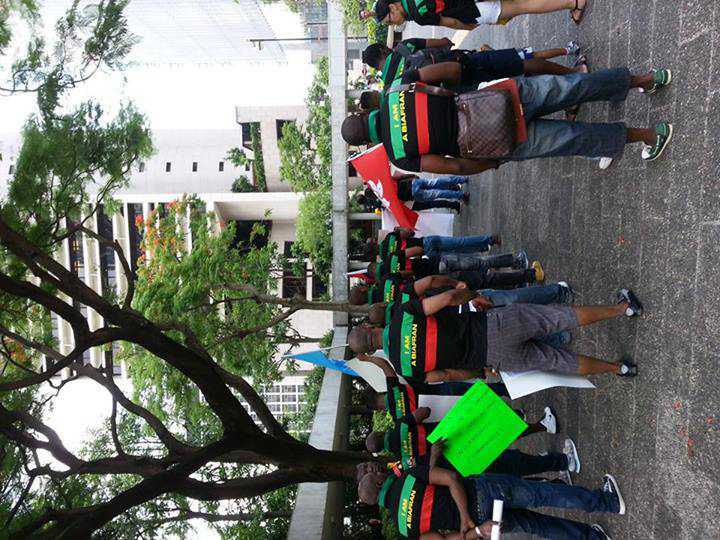 Radio Biafra aims to improve communications between Biafrans living in Biafraland and the free world.